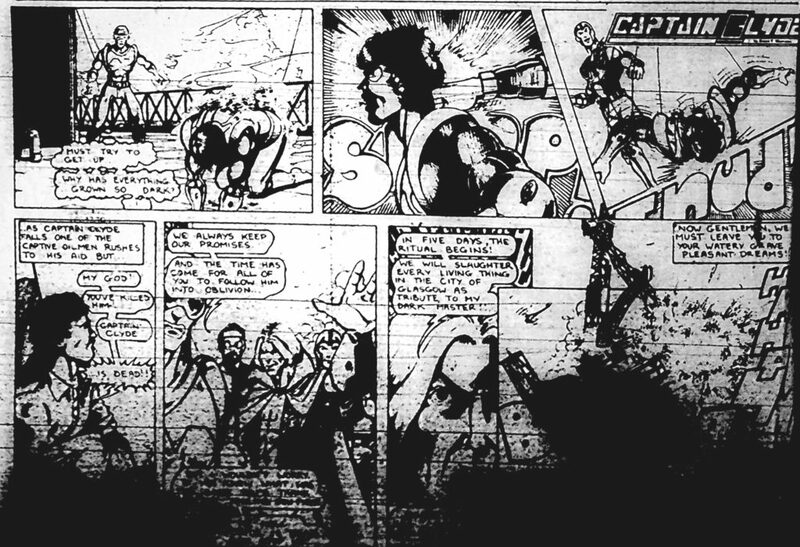 The following week the strip was replaced by Tom & Jerry. 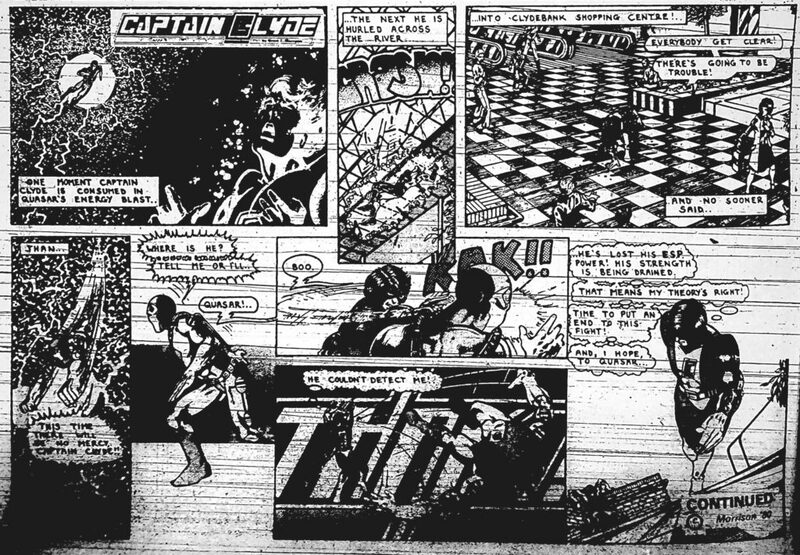 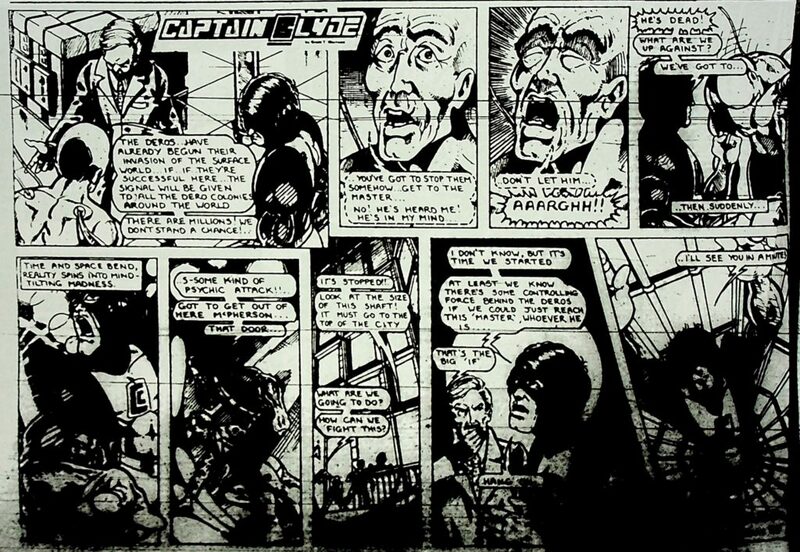 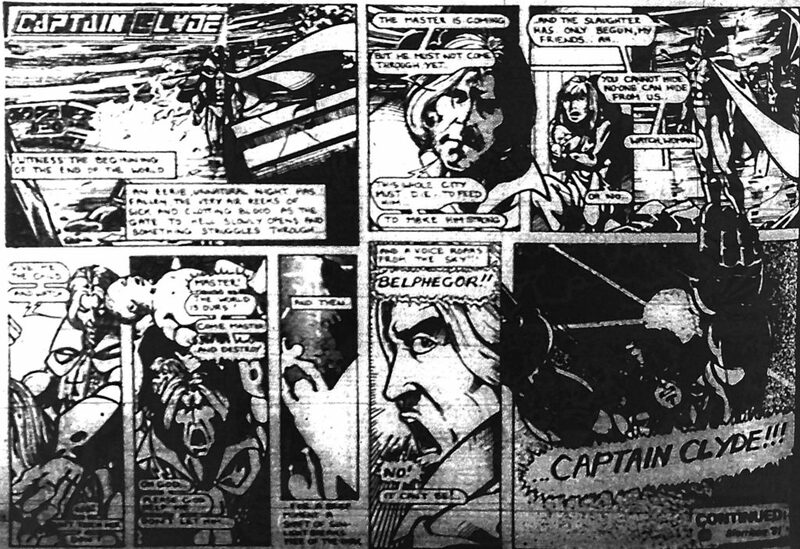 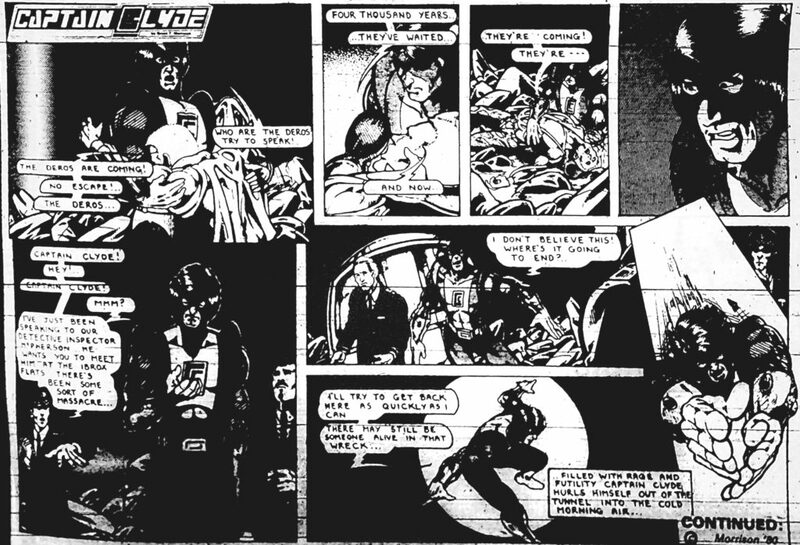 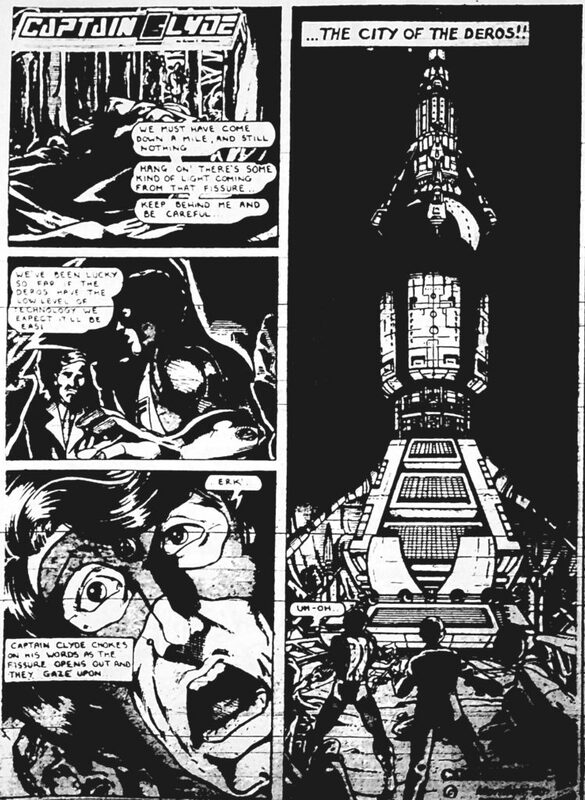 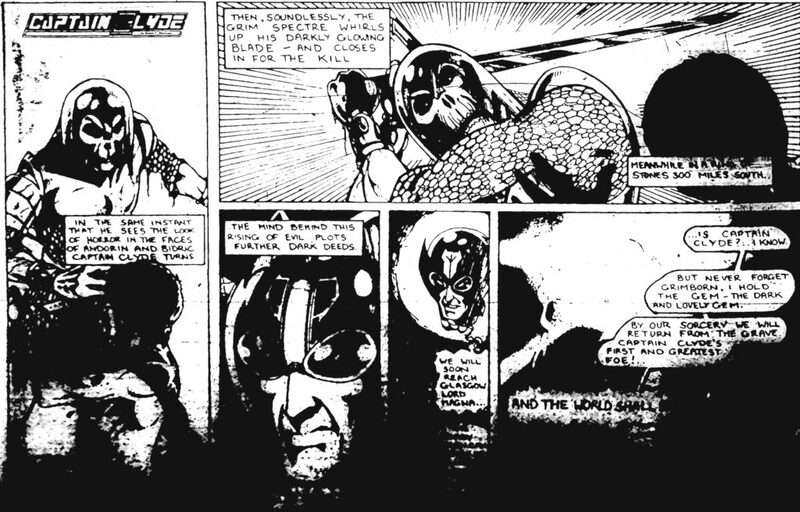 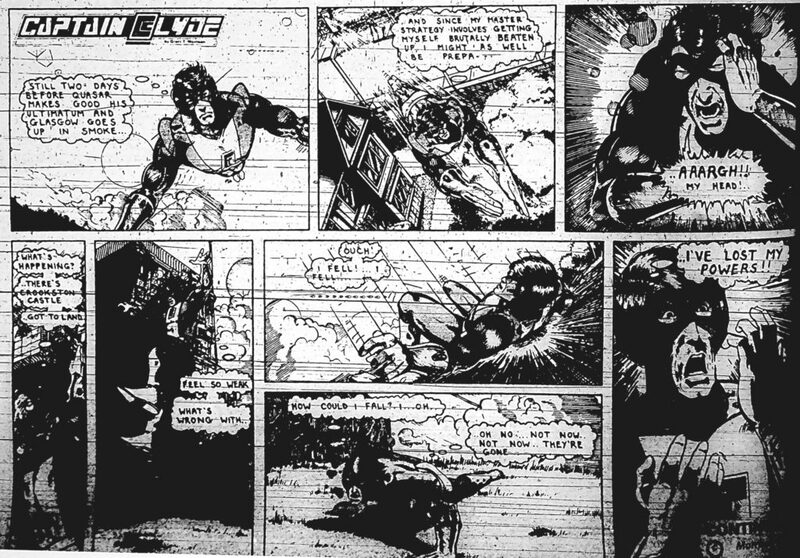 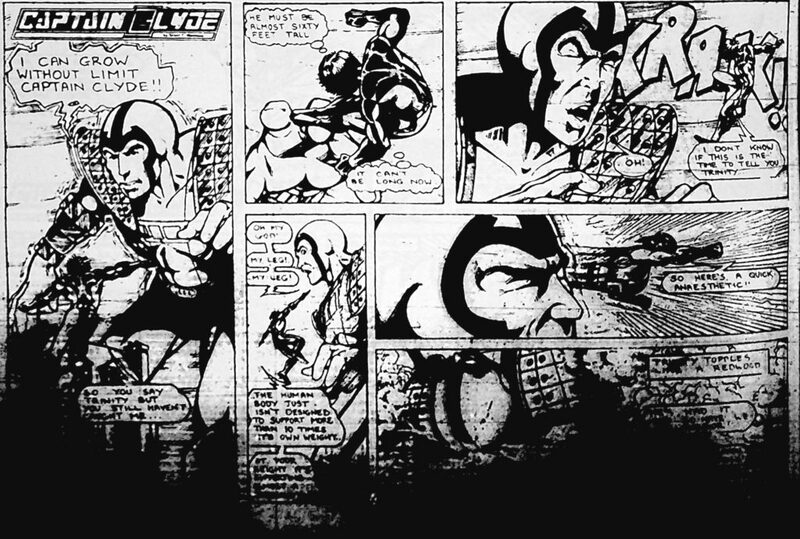 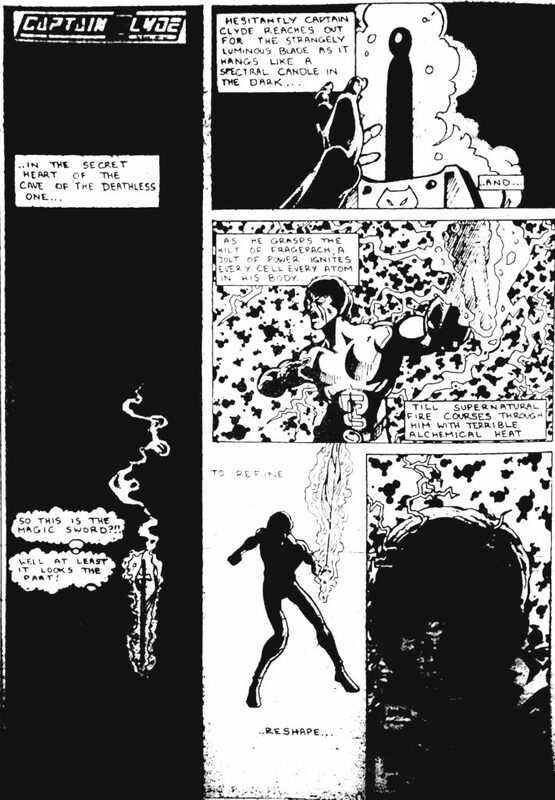 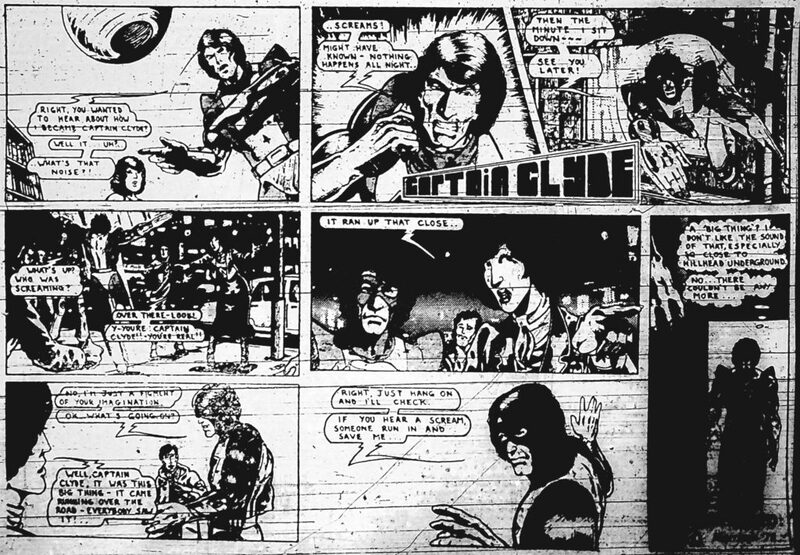 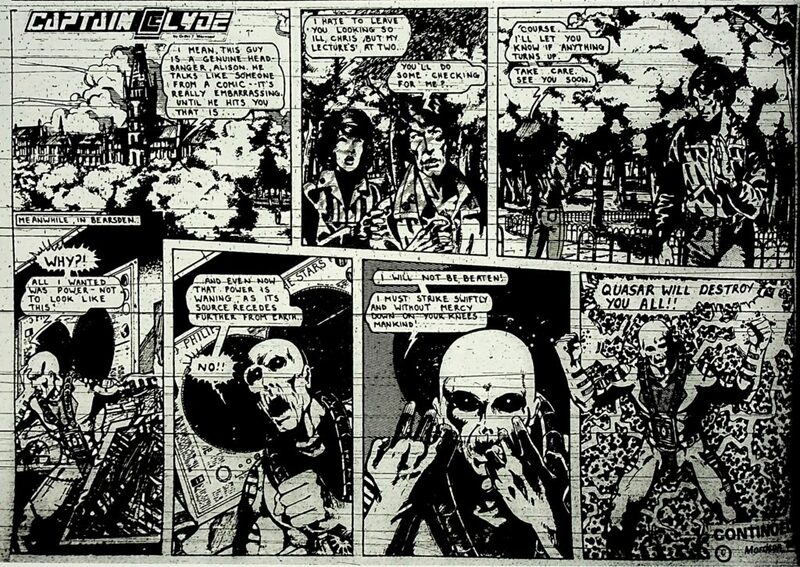 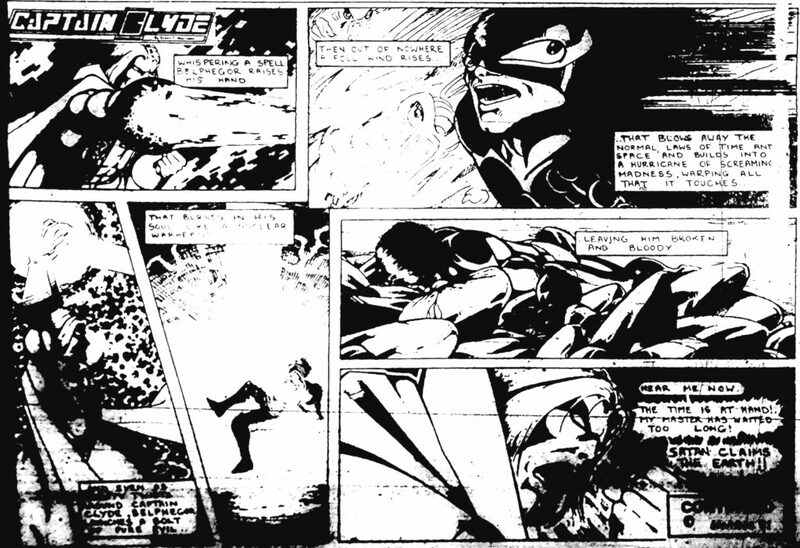 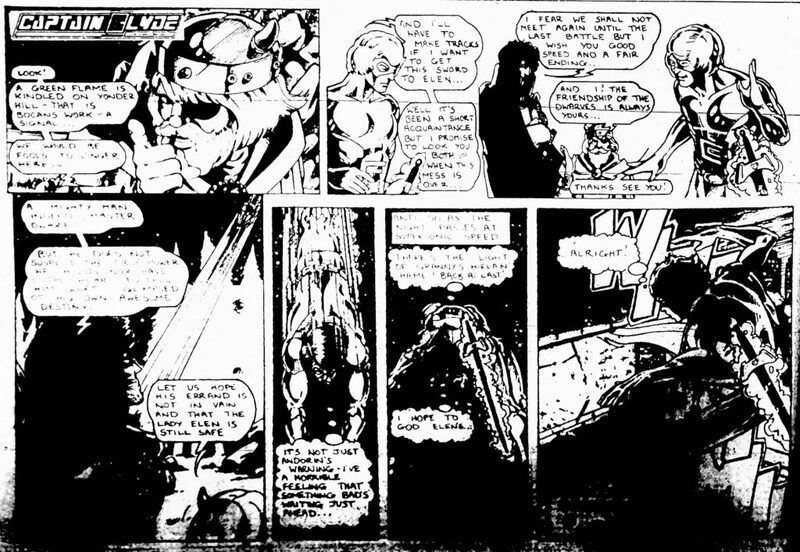 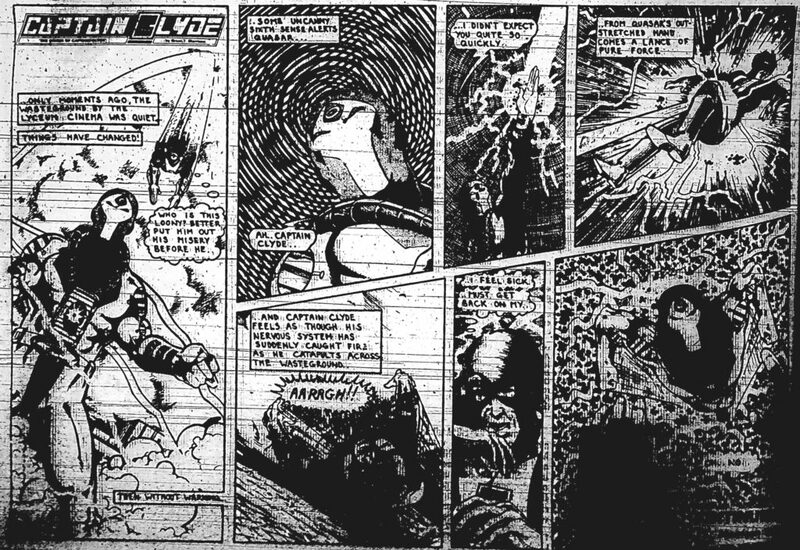 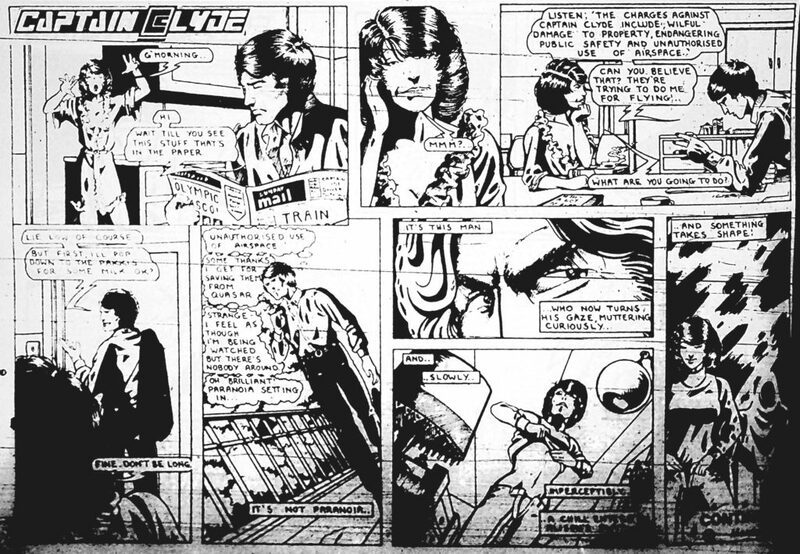 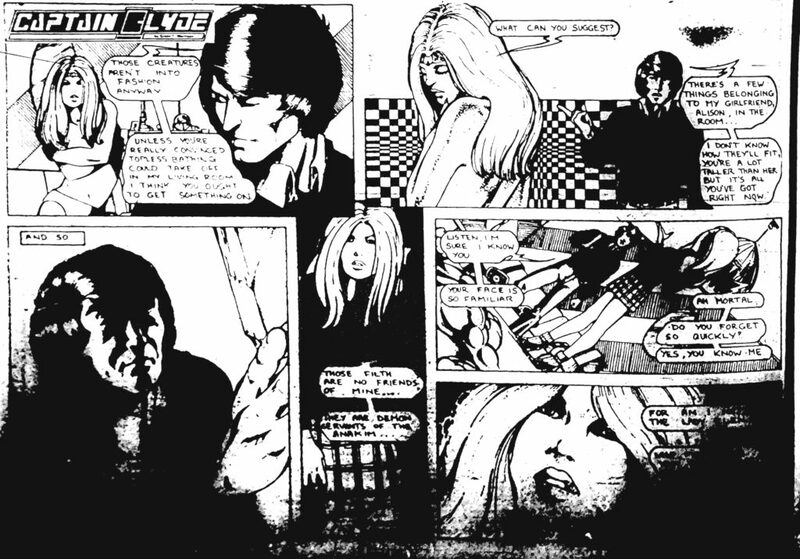 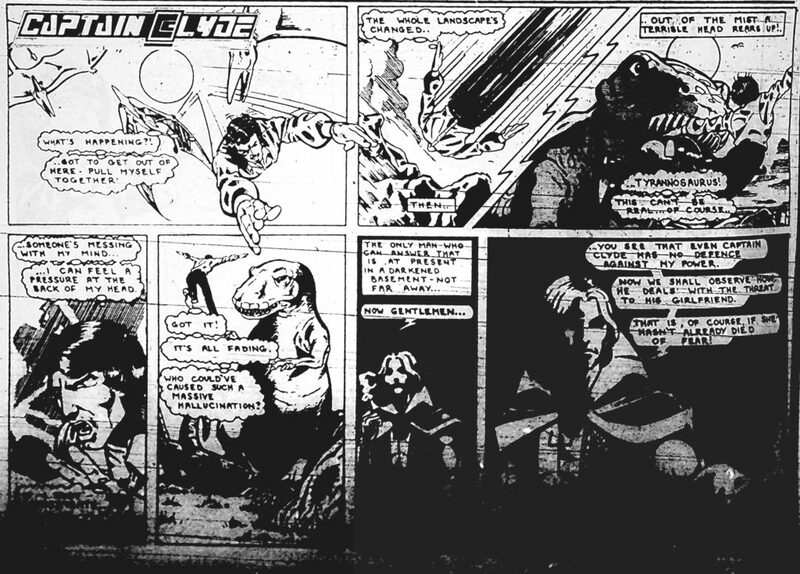 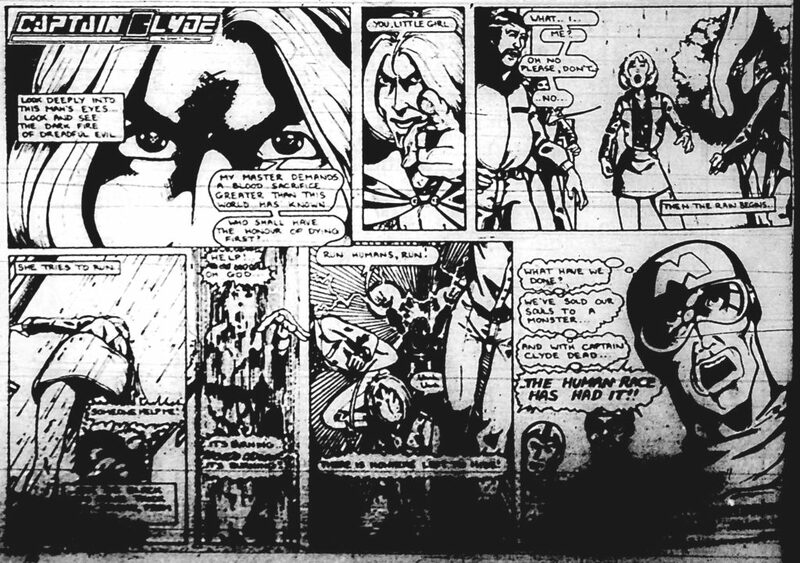 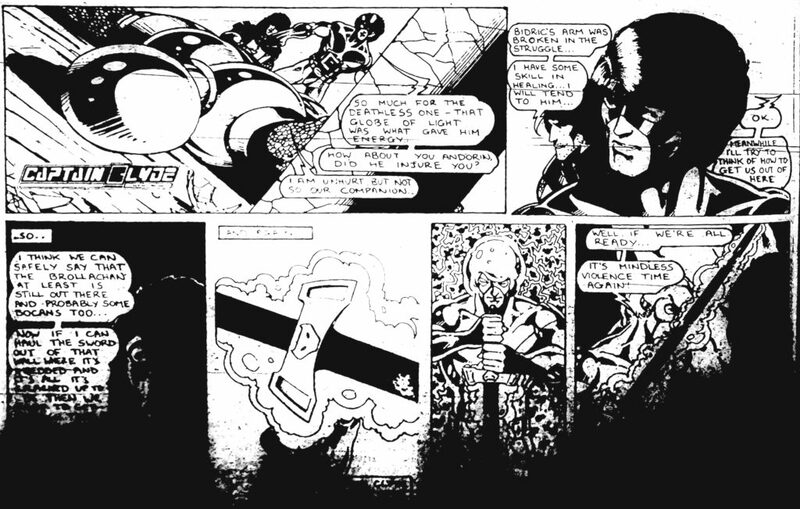 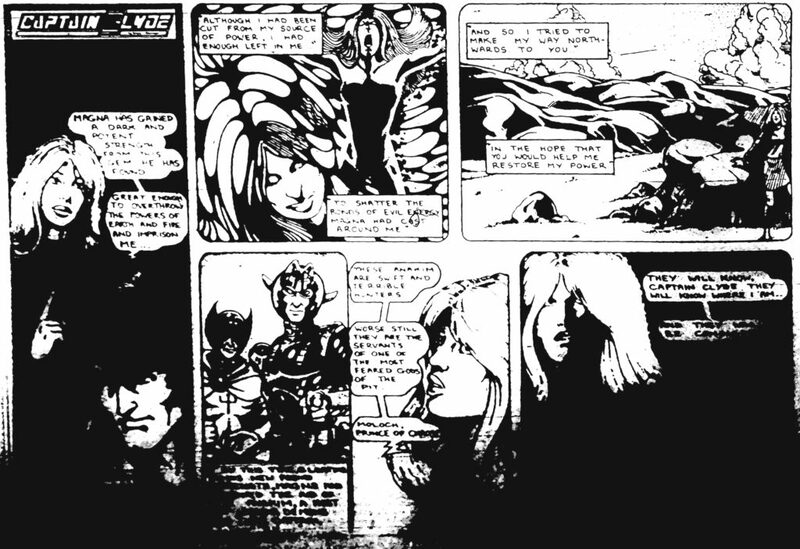 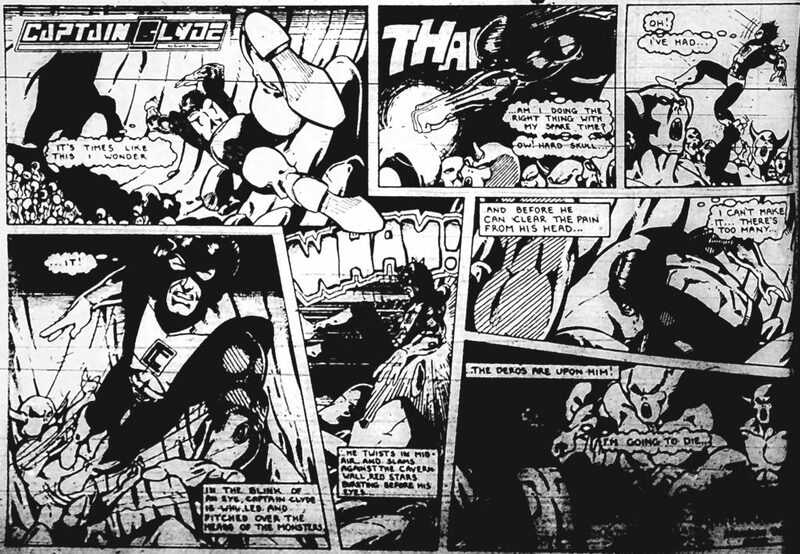 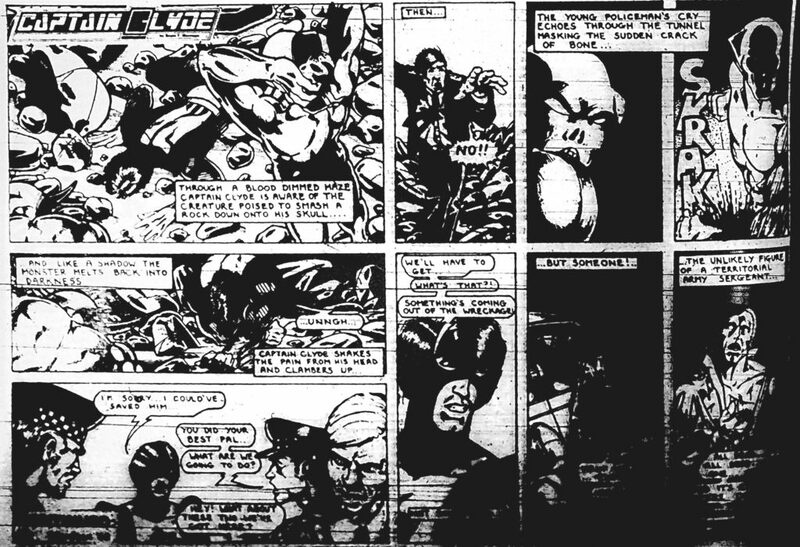 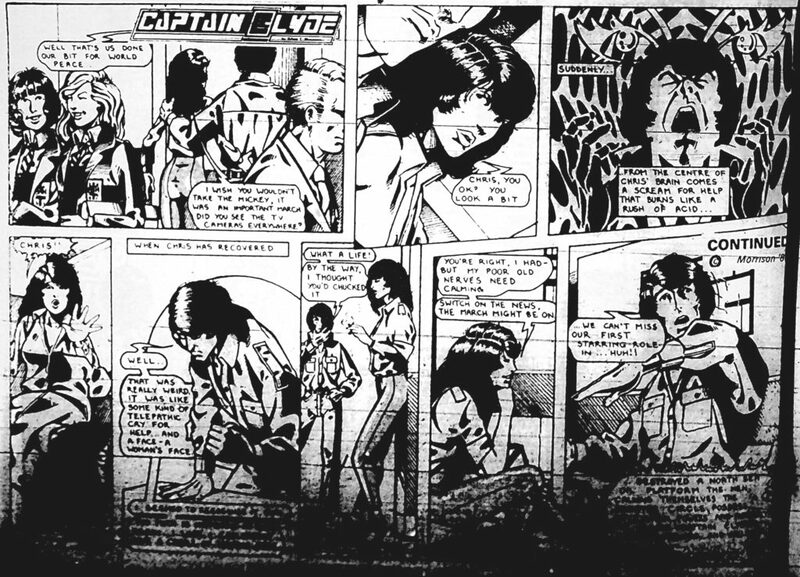 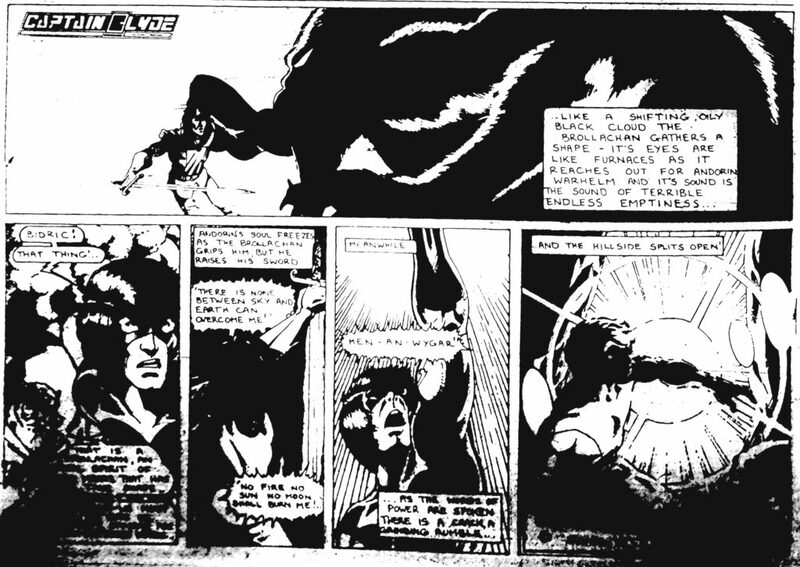 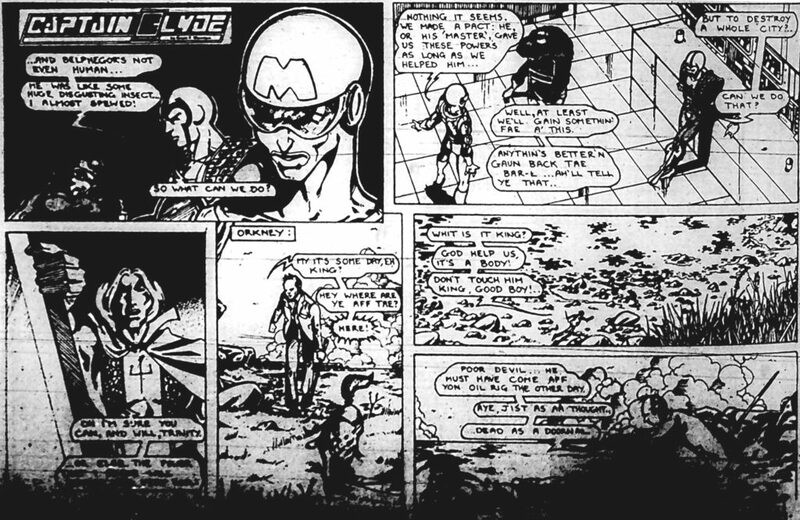 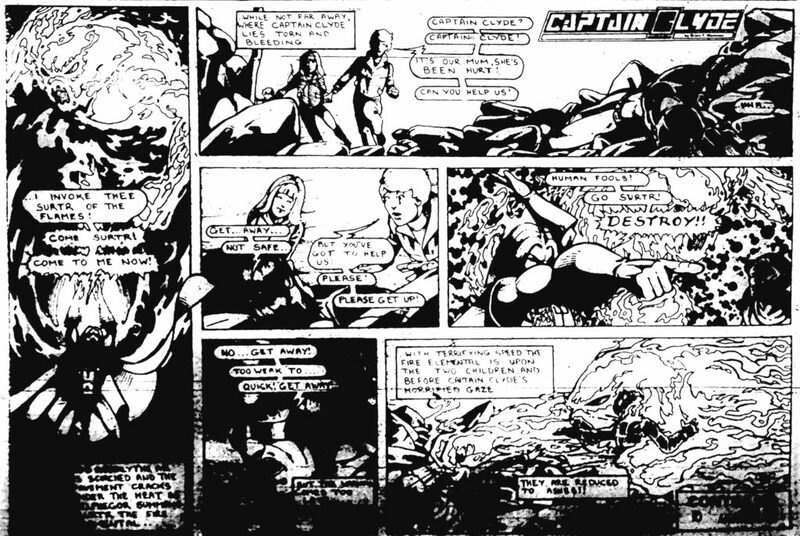 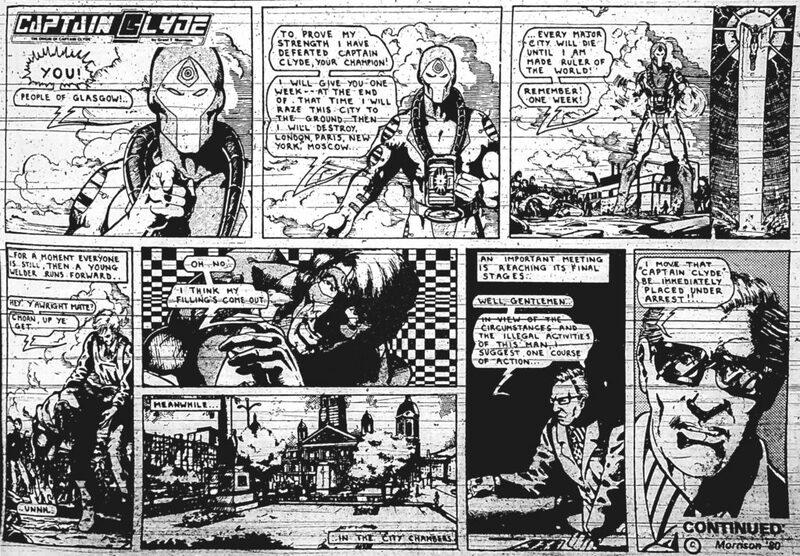 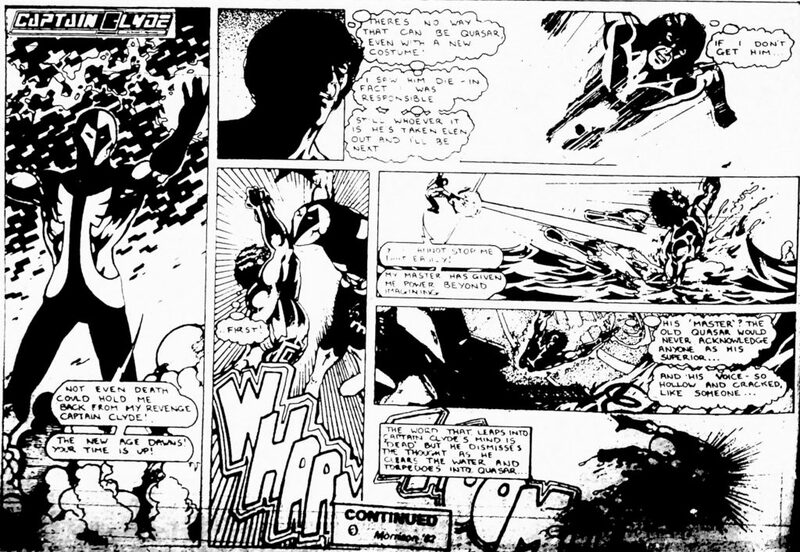 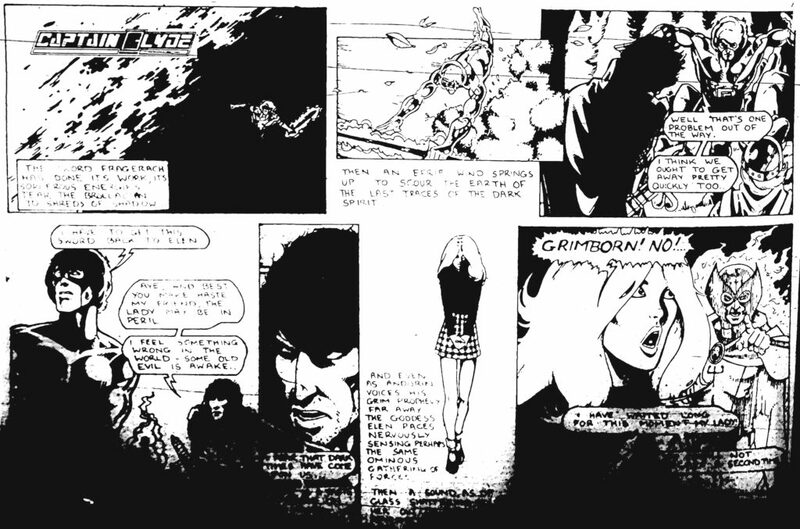 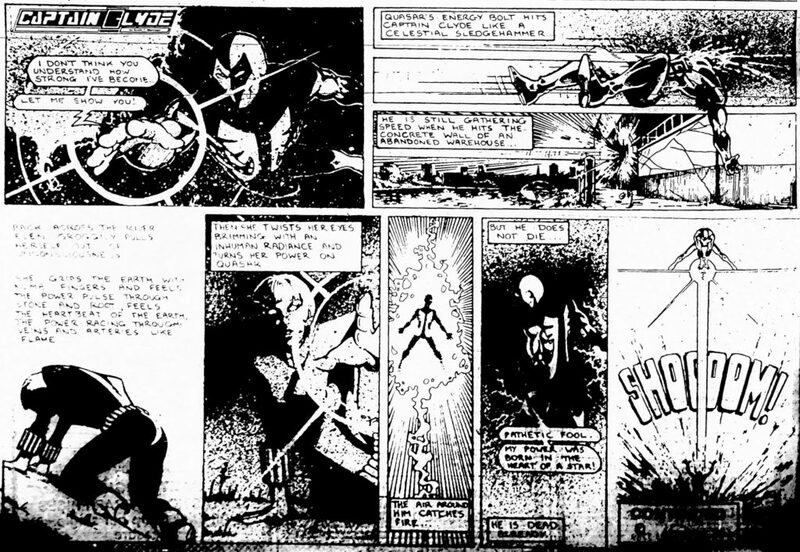 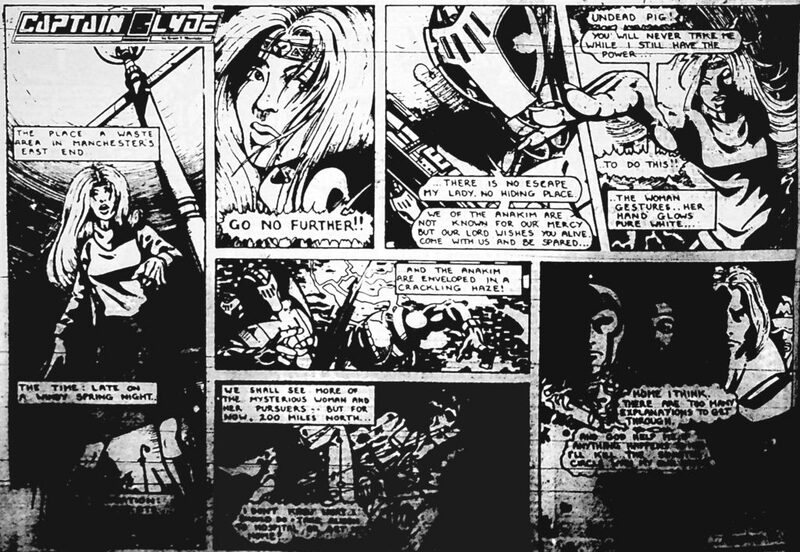 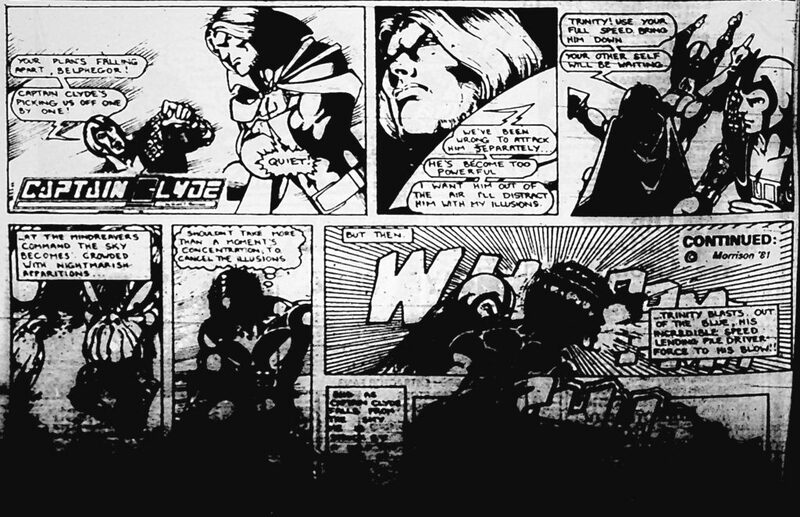 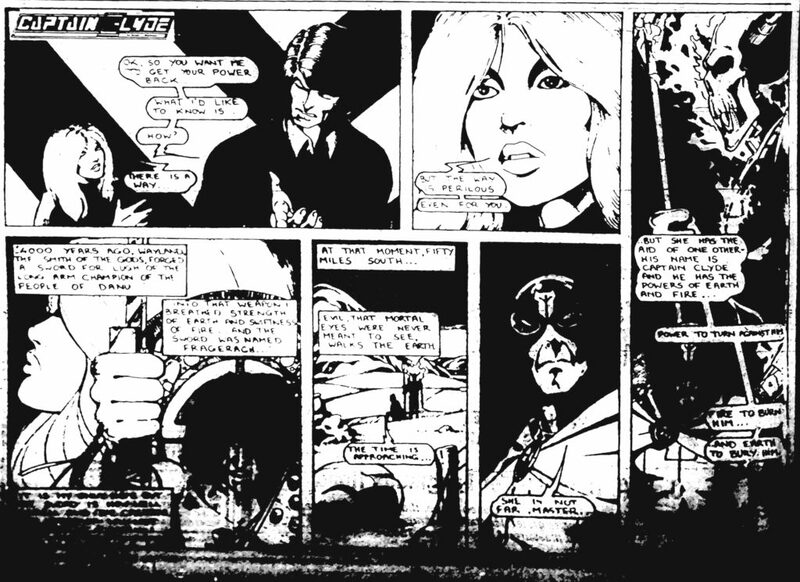 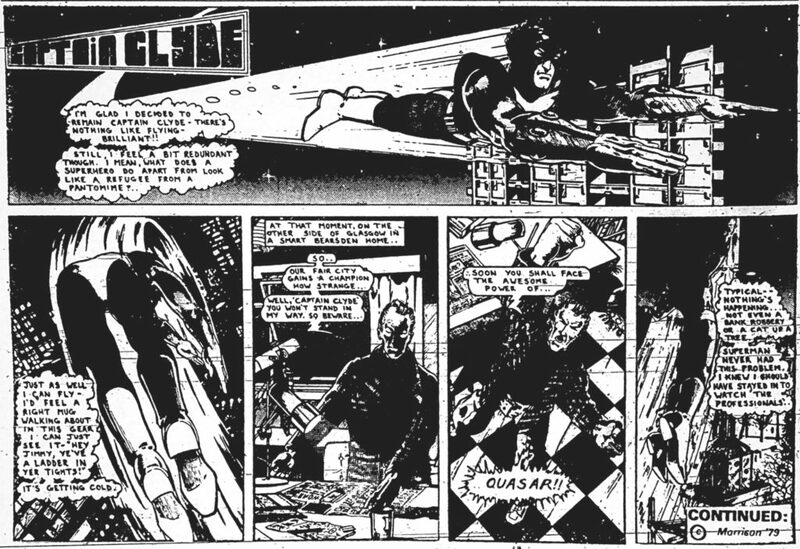 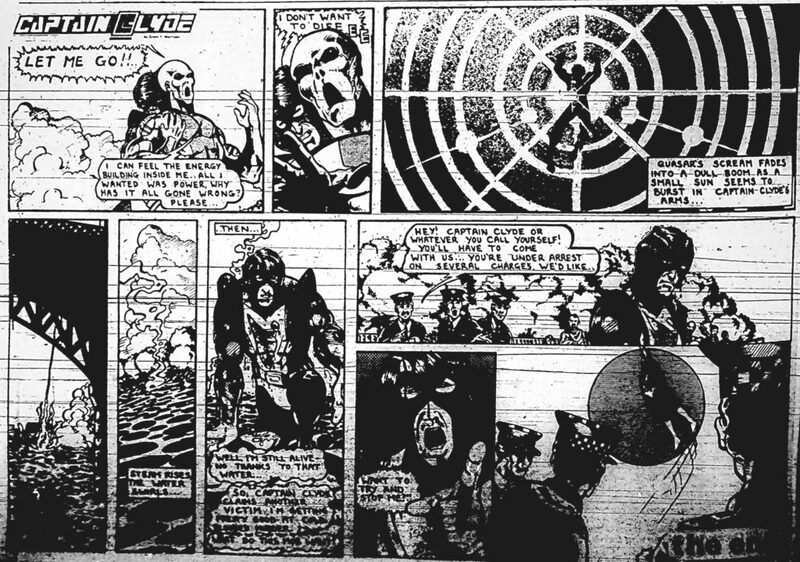 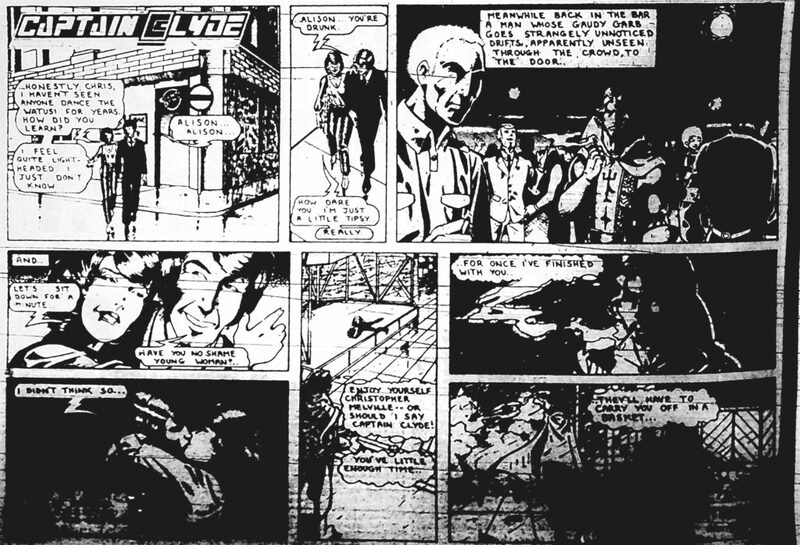 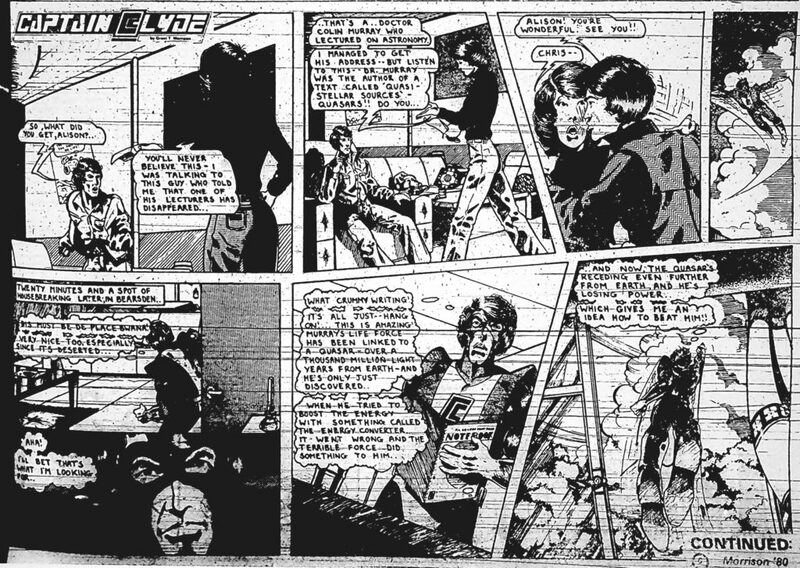 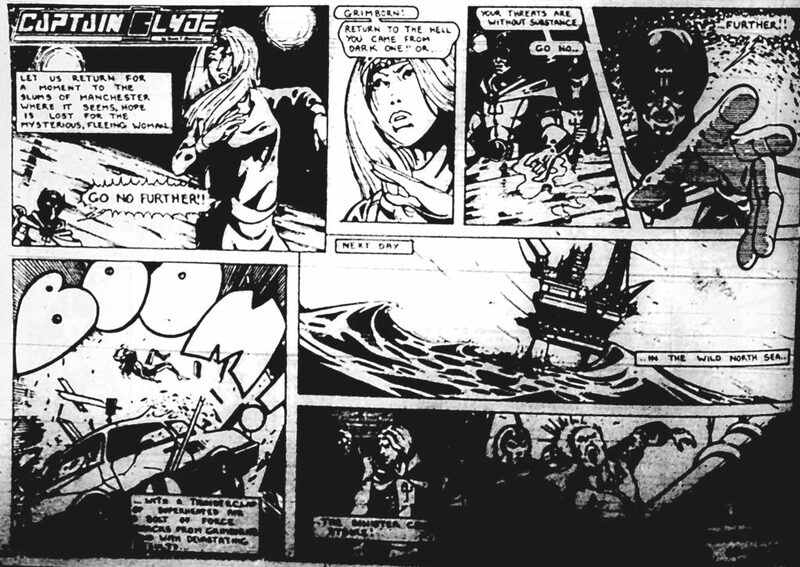 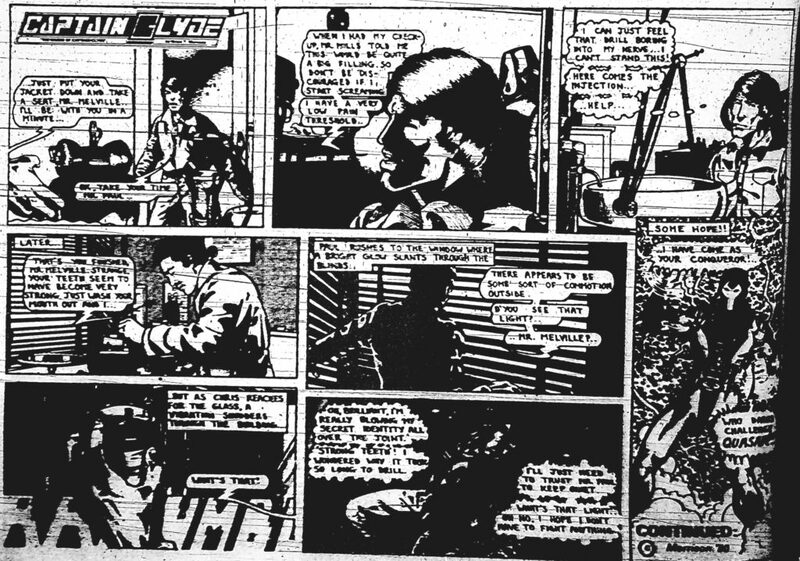 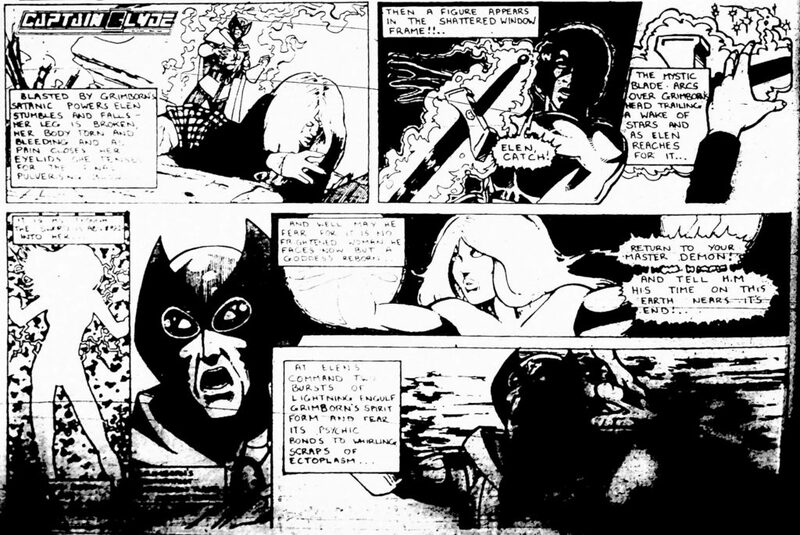 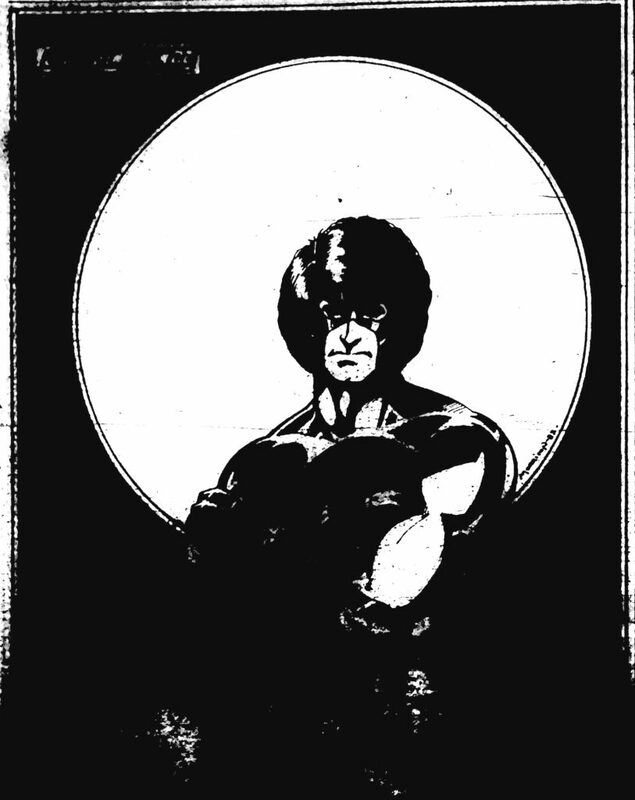 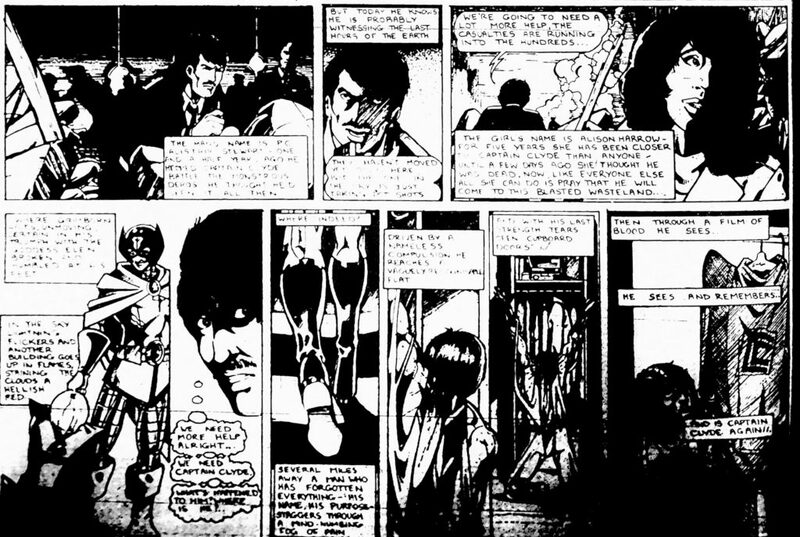 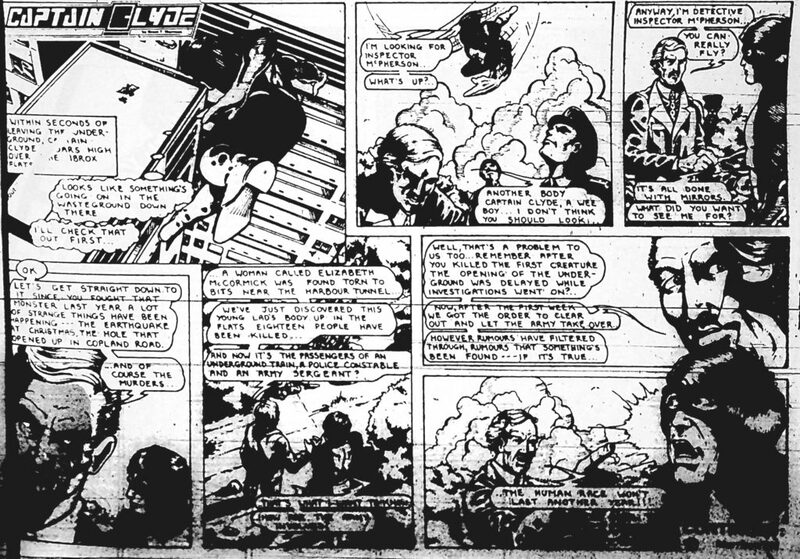 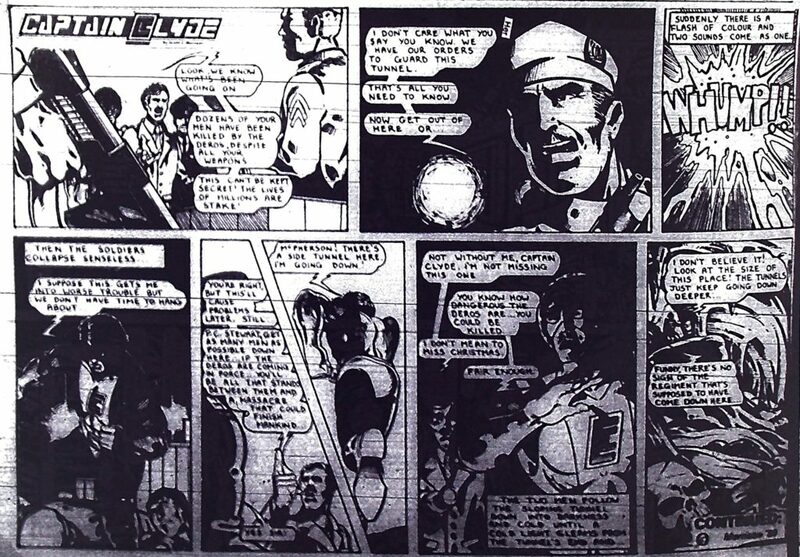 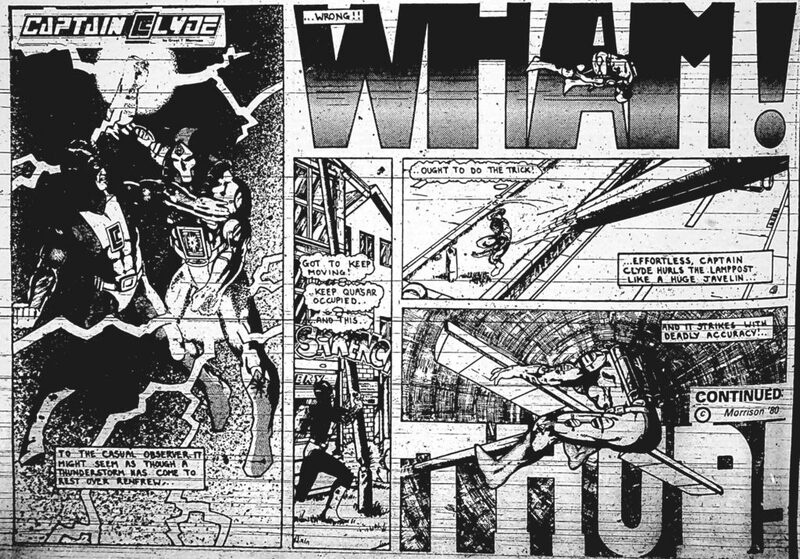 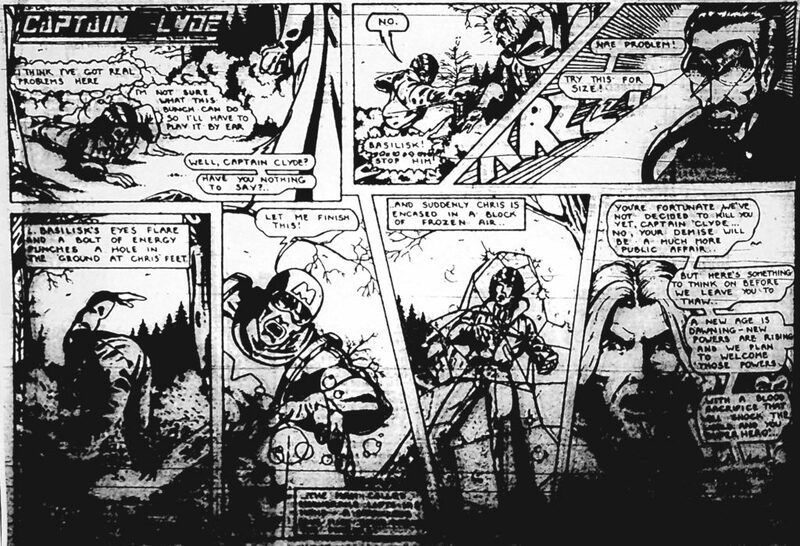 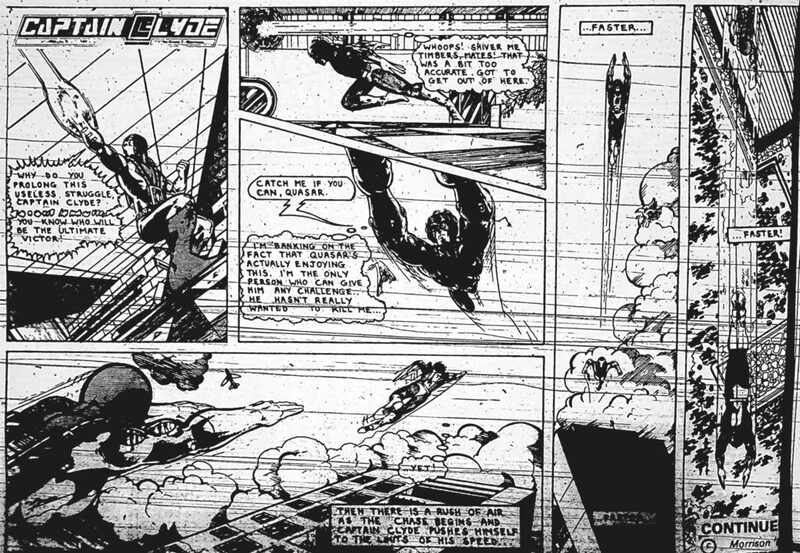 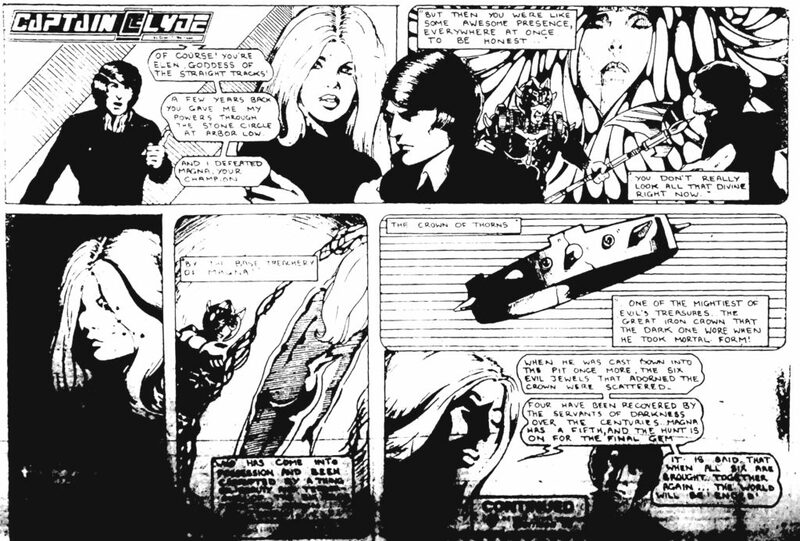 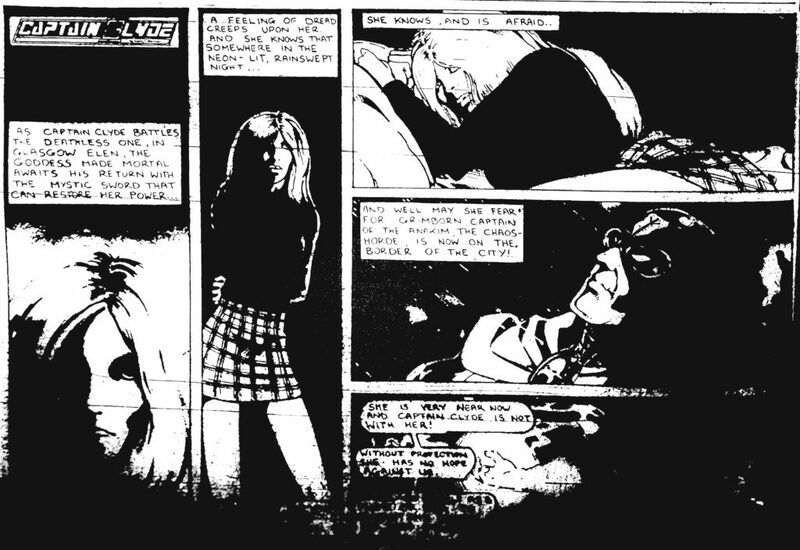 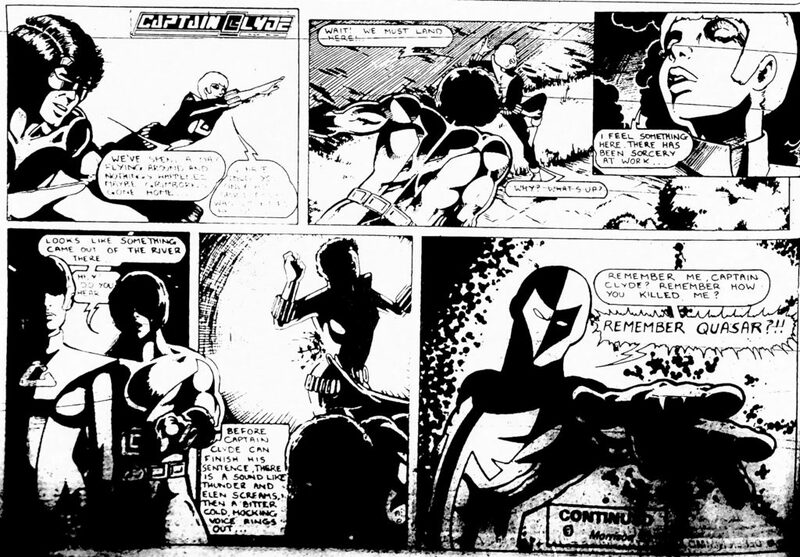 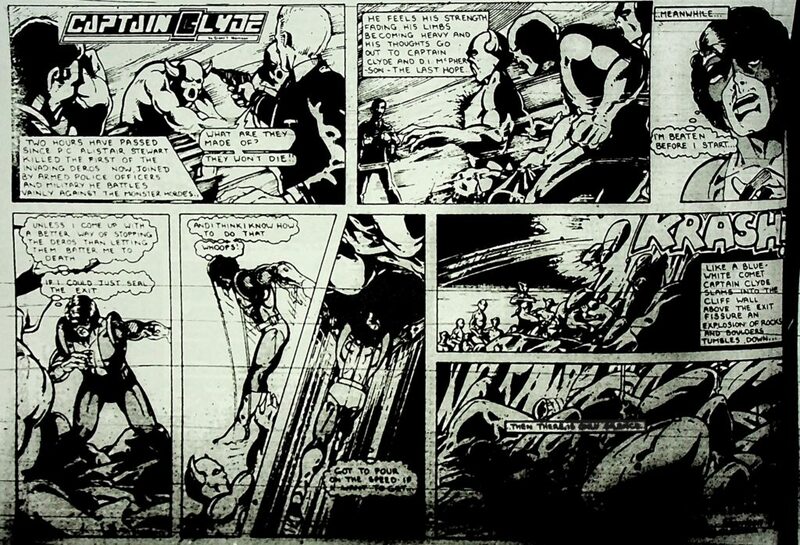 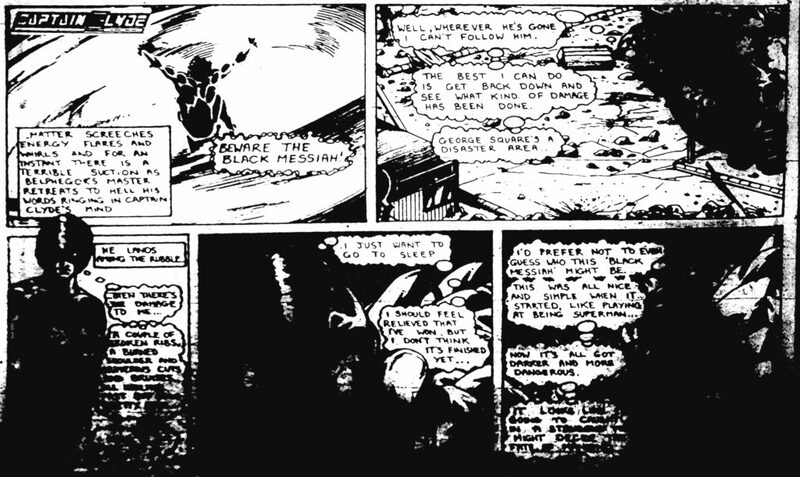 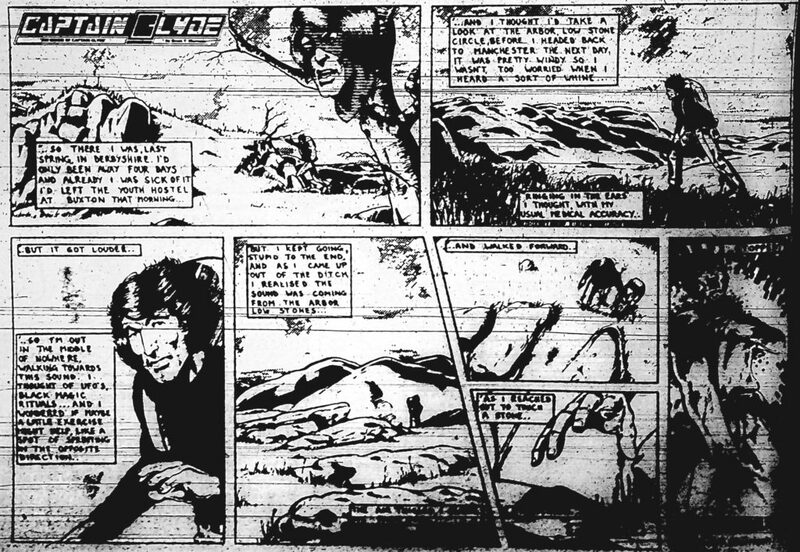 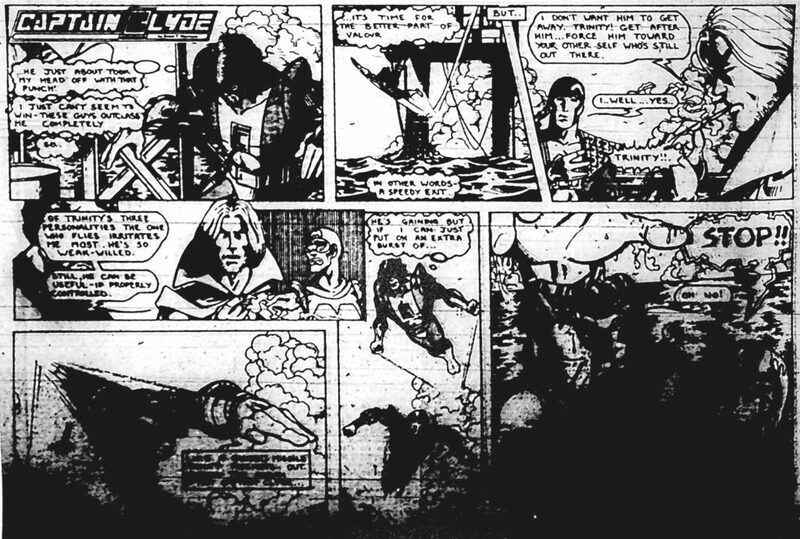 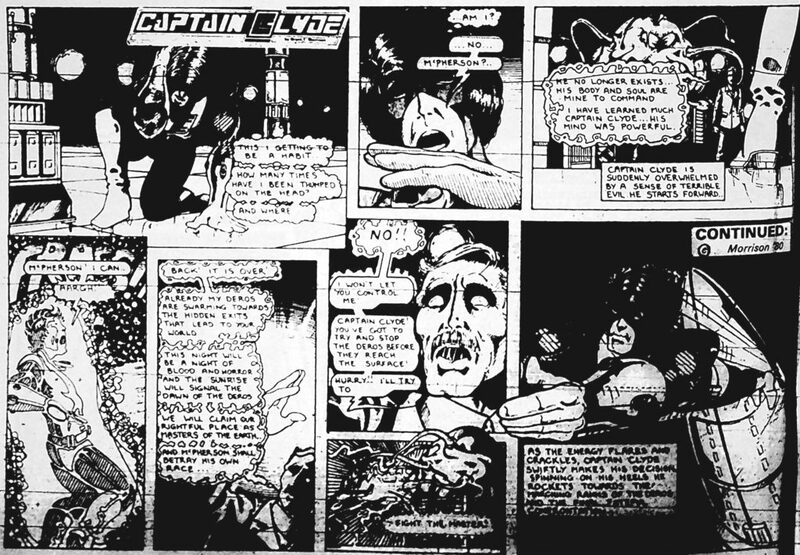 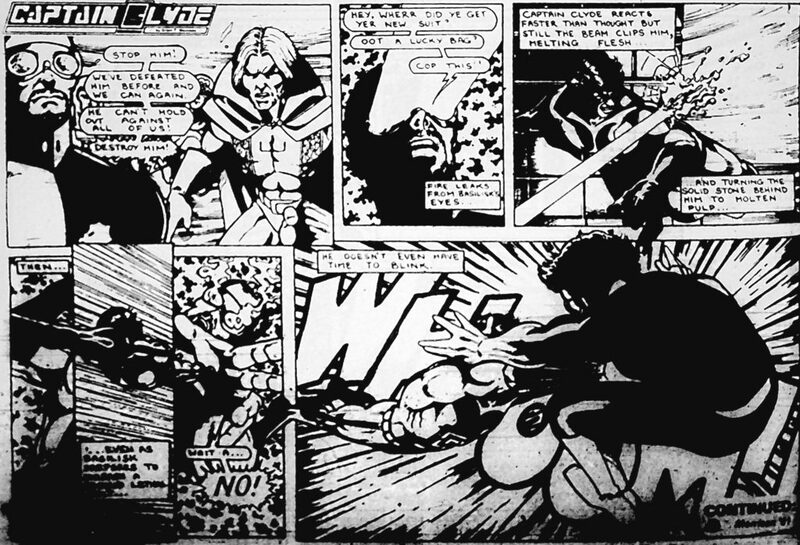 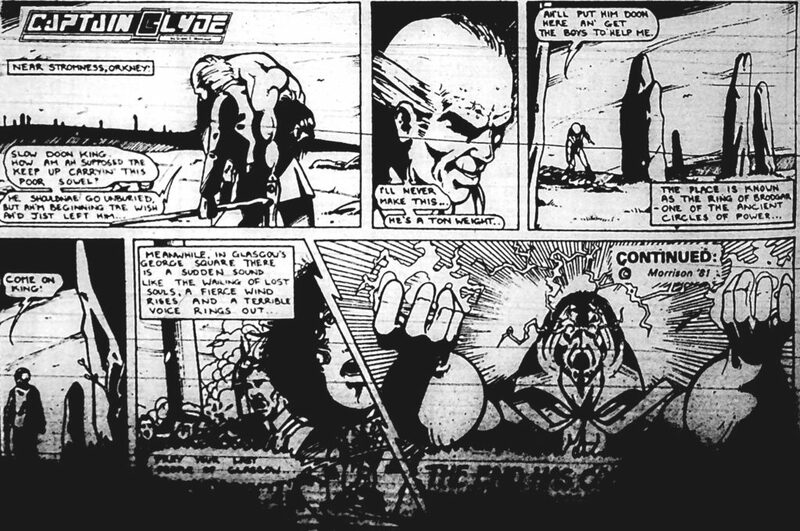 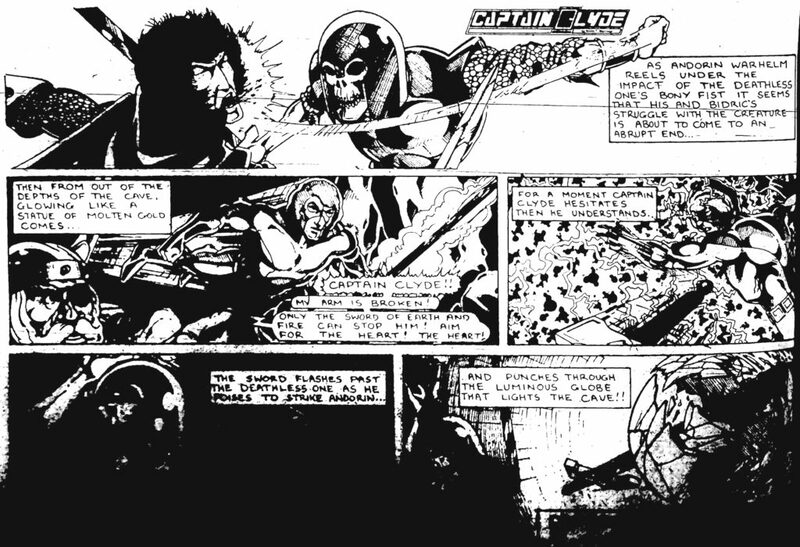 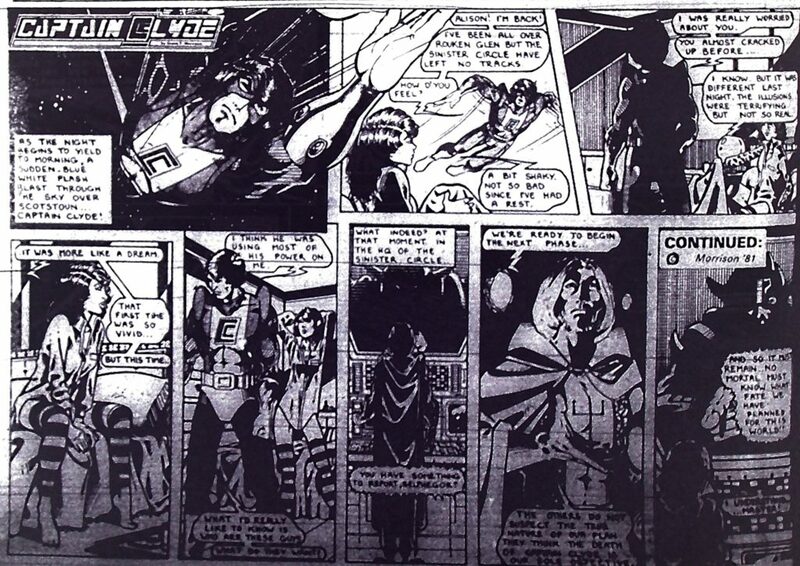 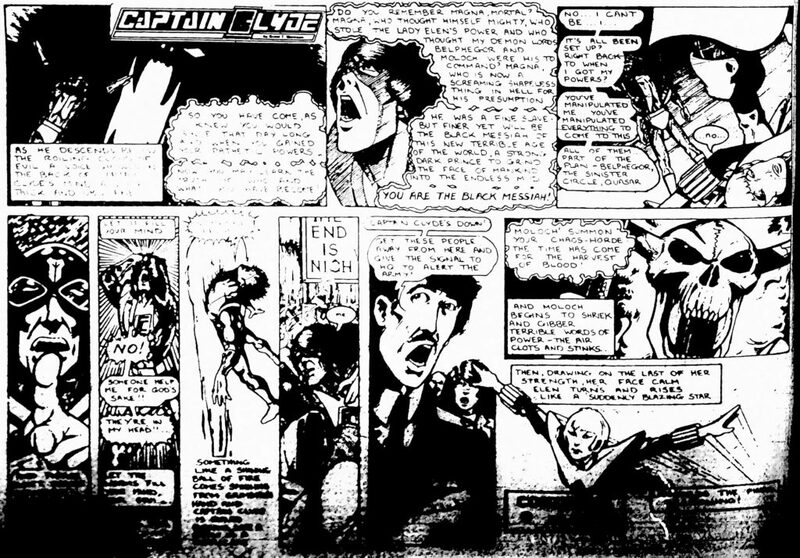 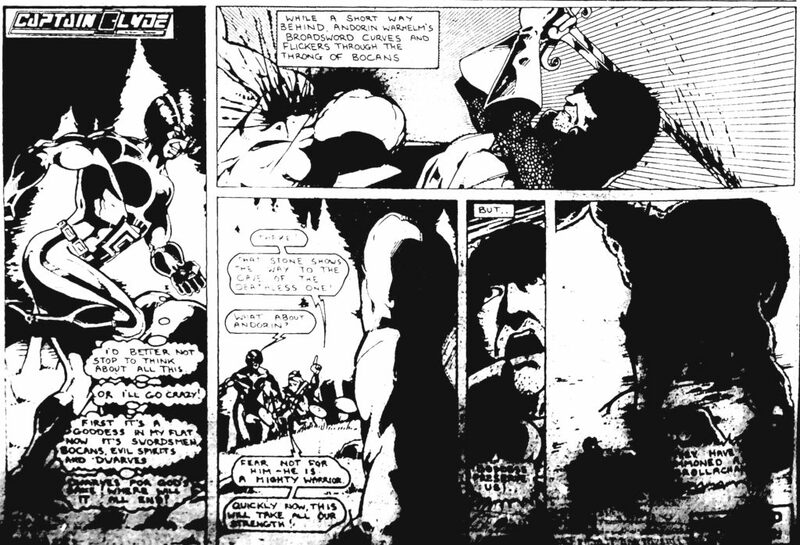 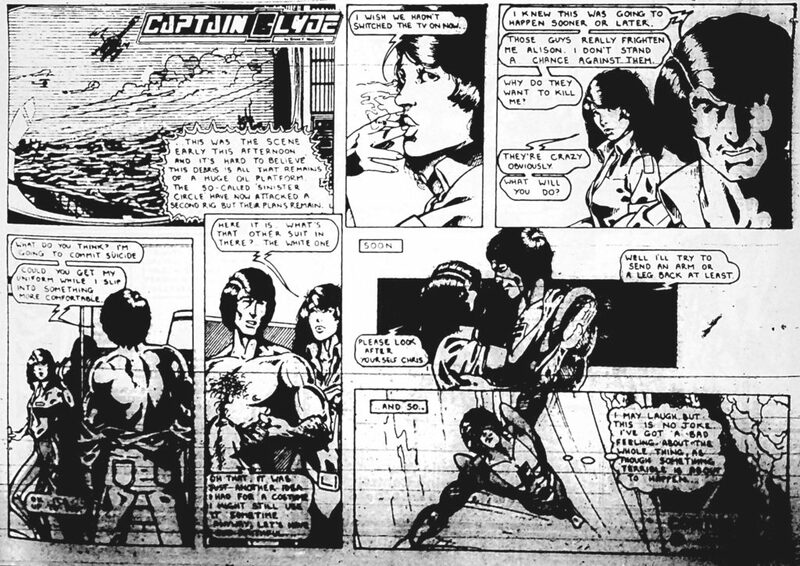 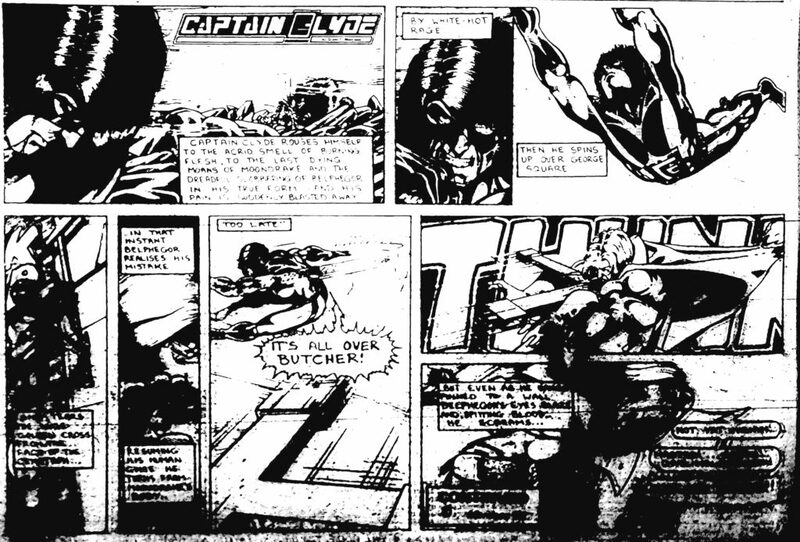 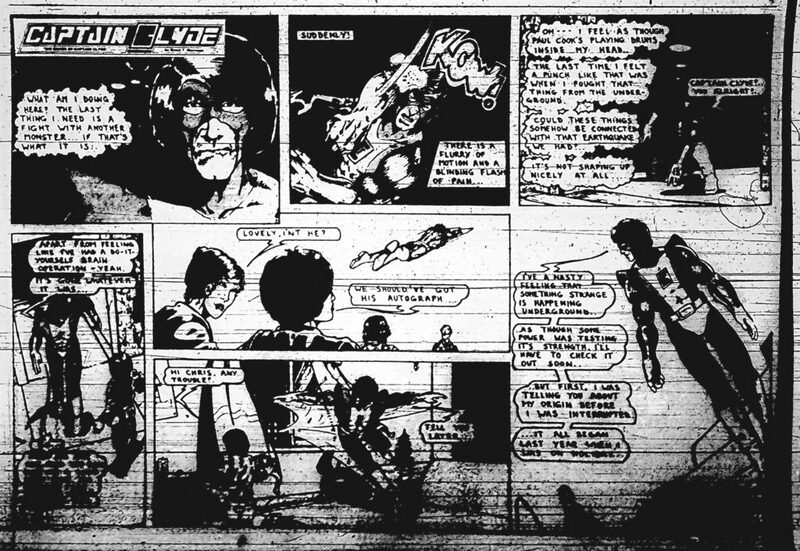 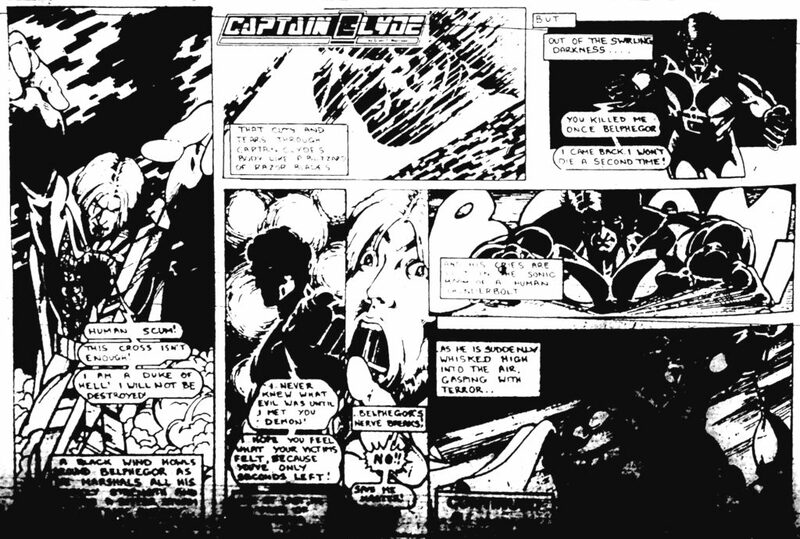 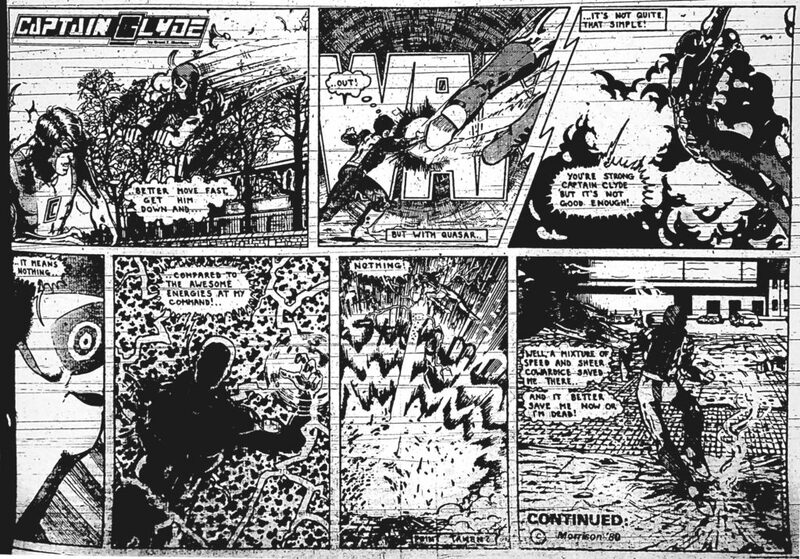 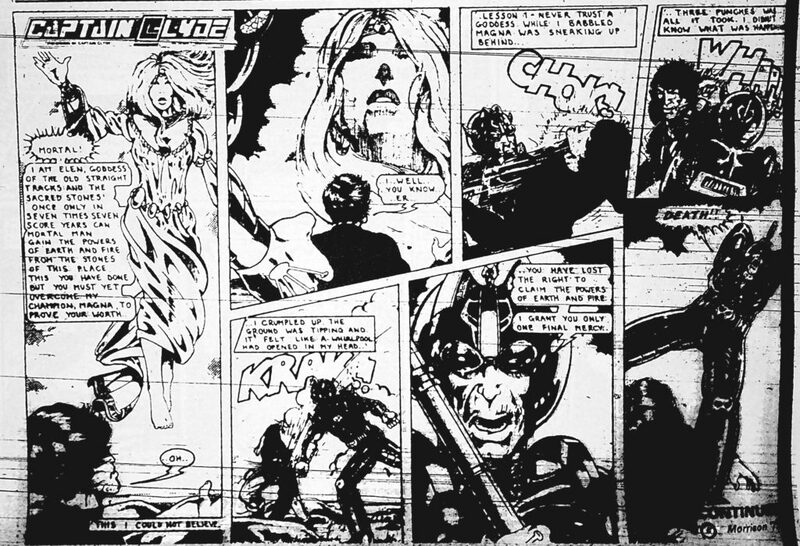 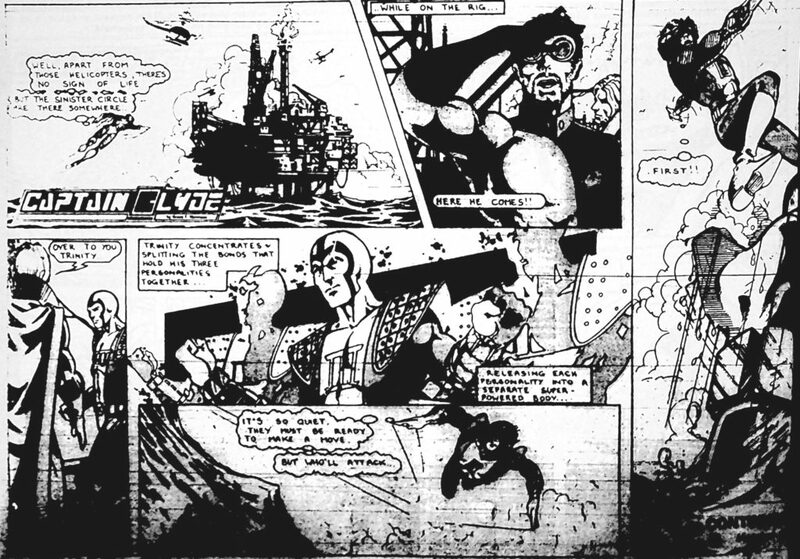 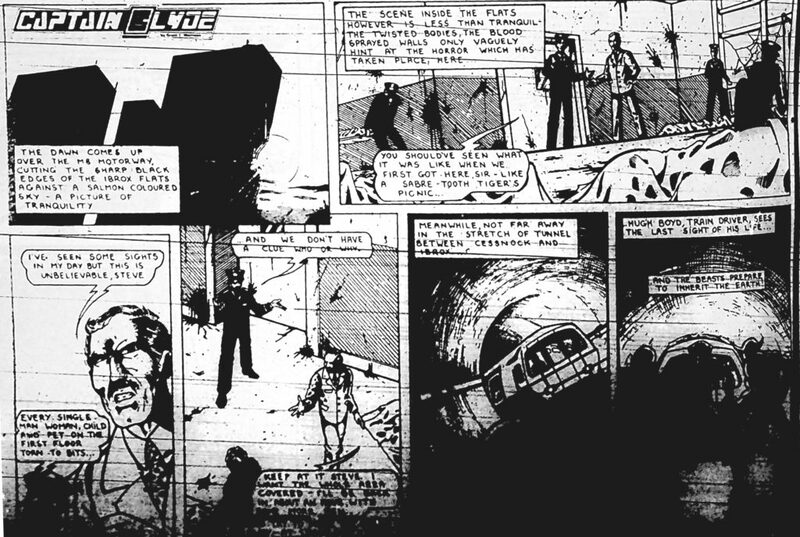 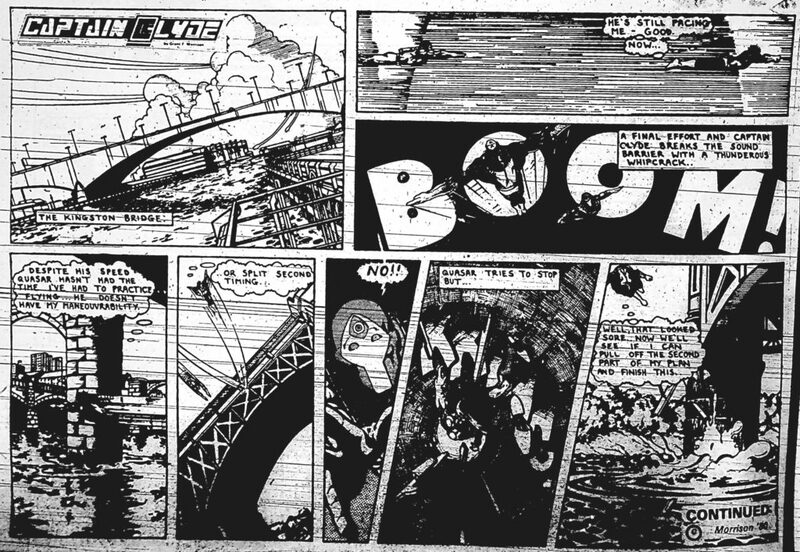 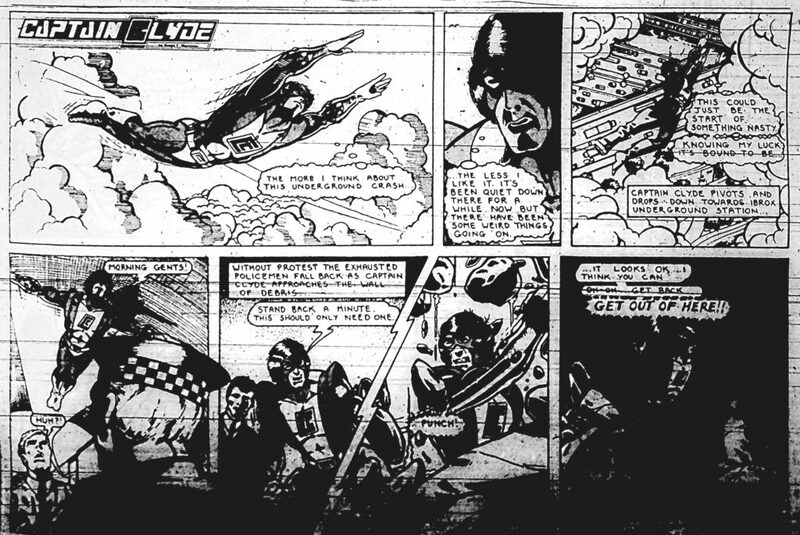 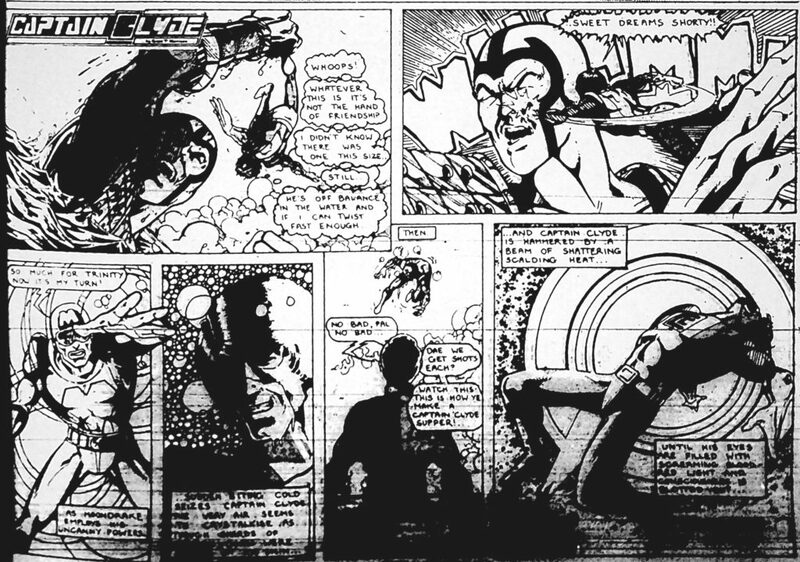 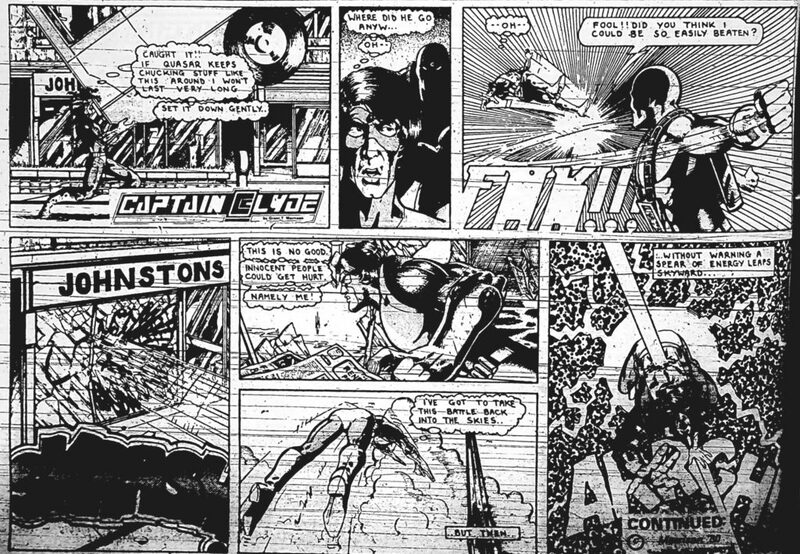 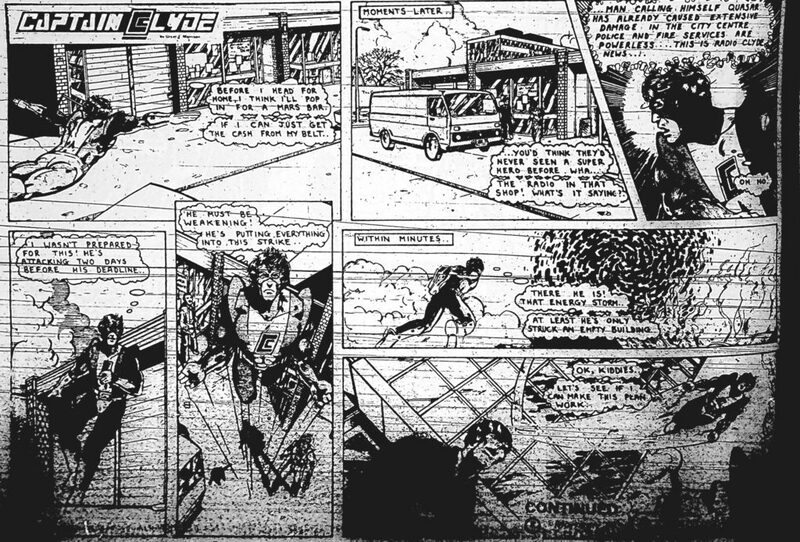 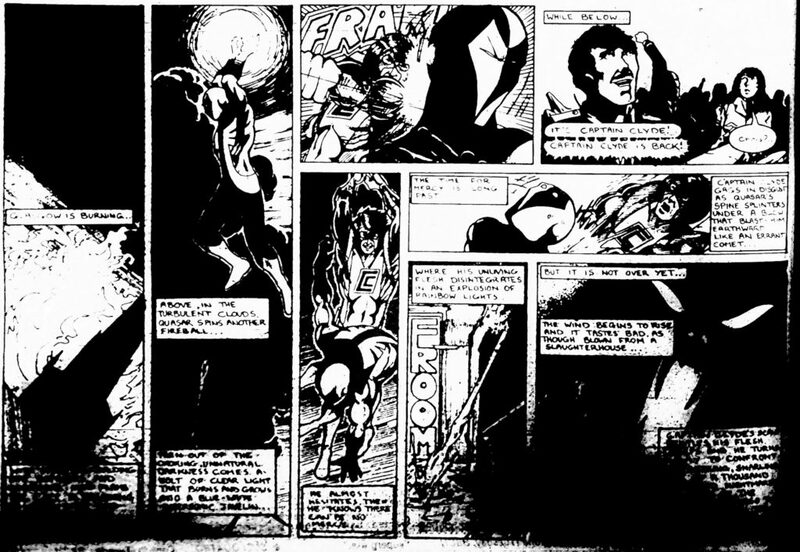 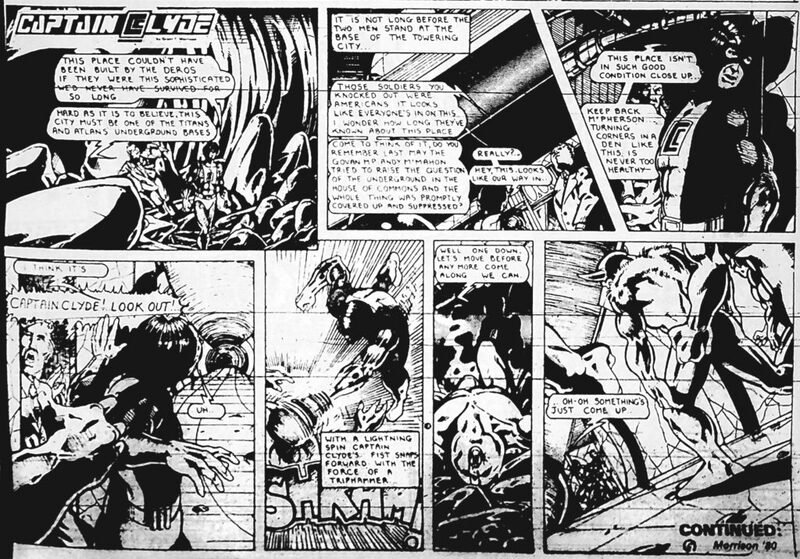 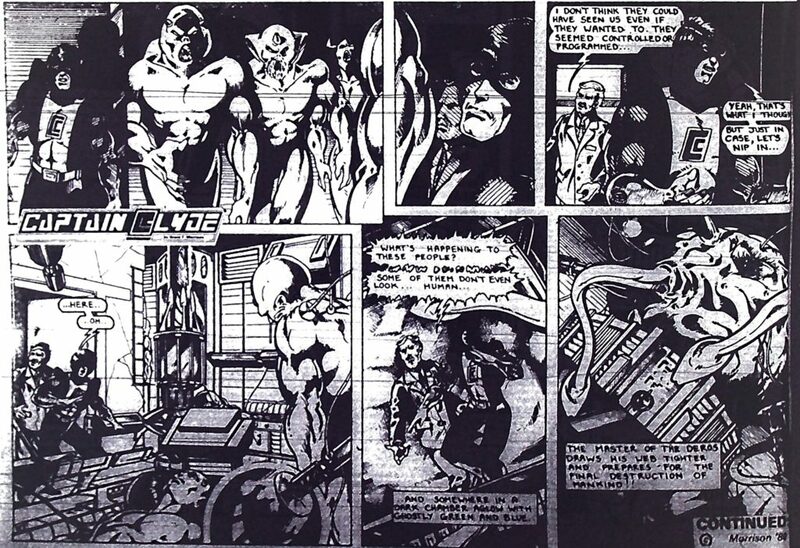 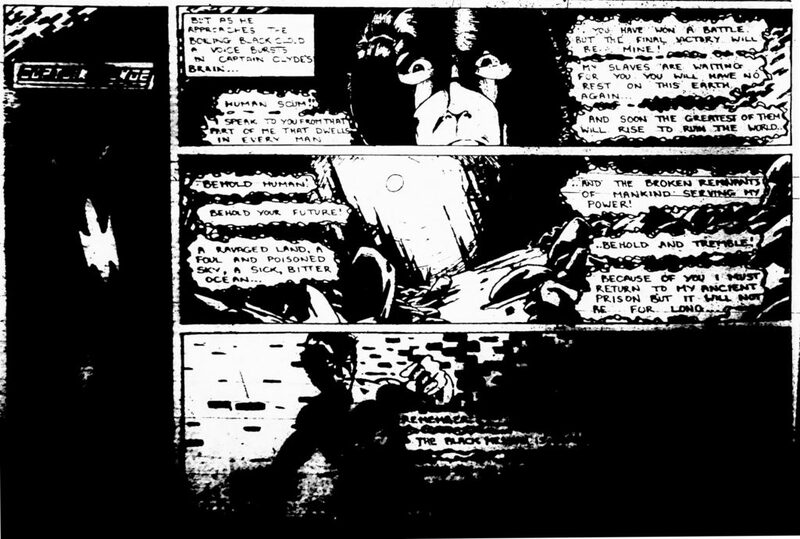 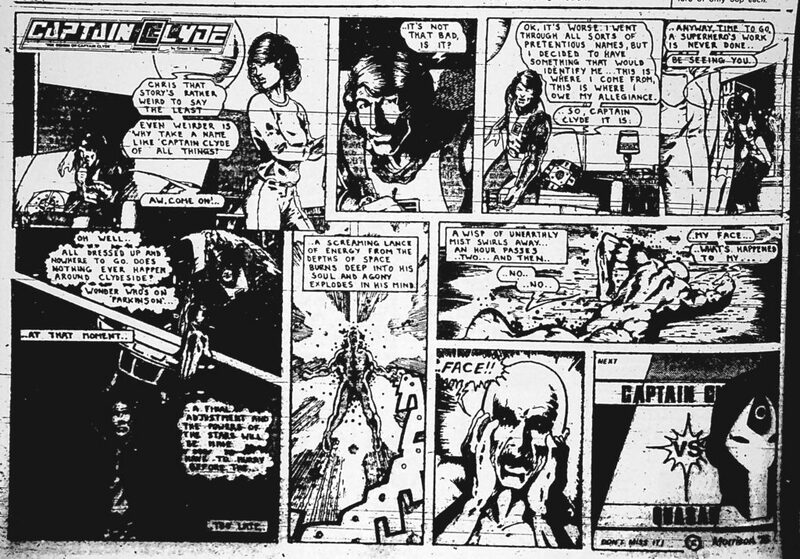 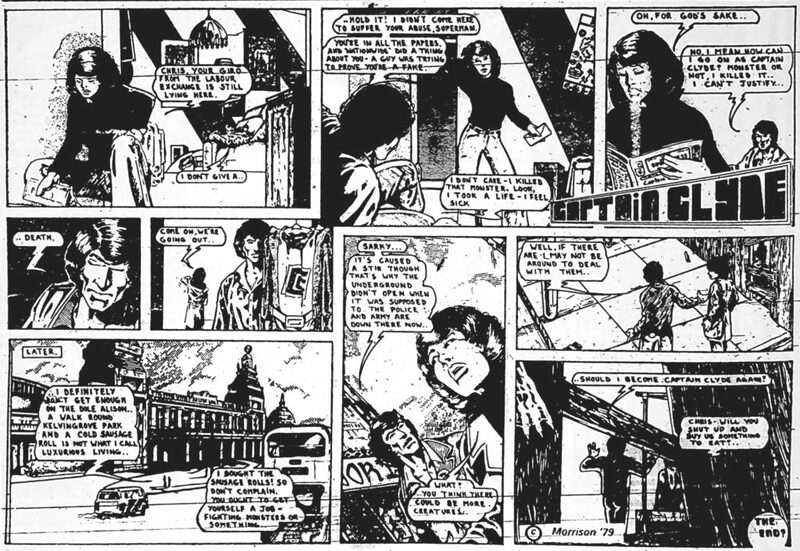 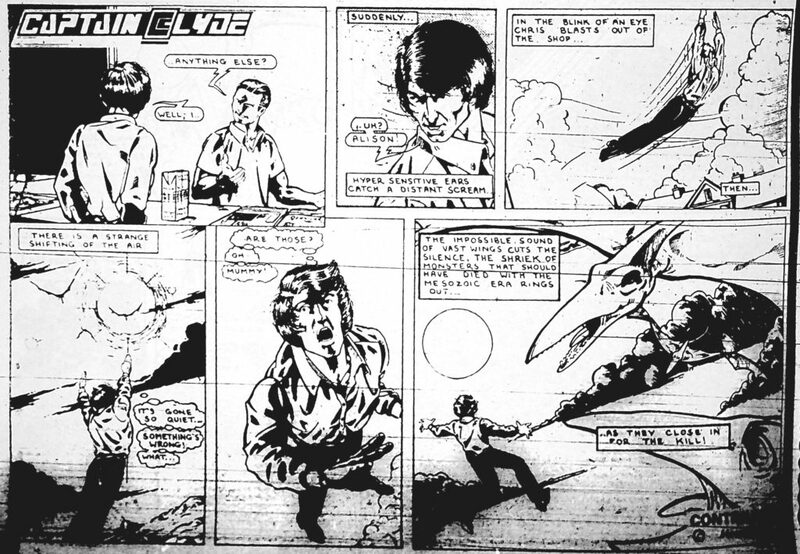 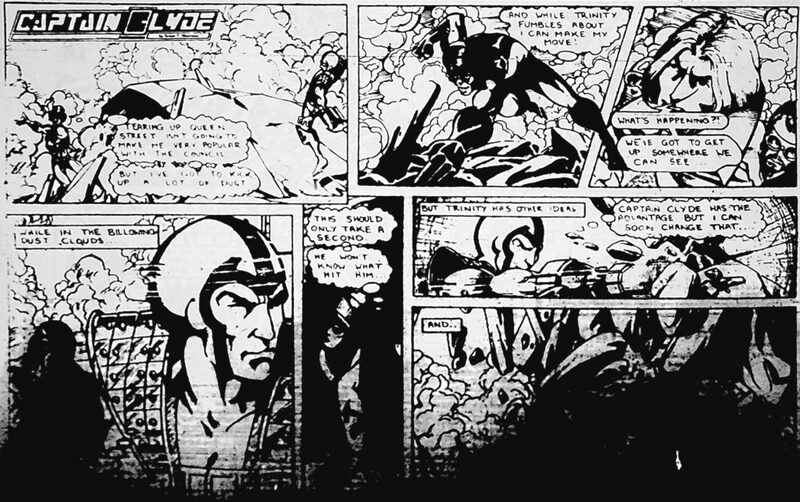 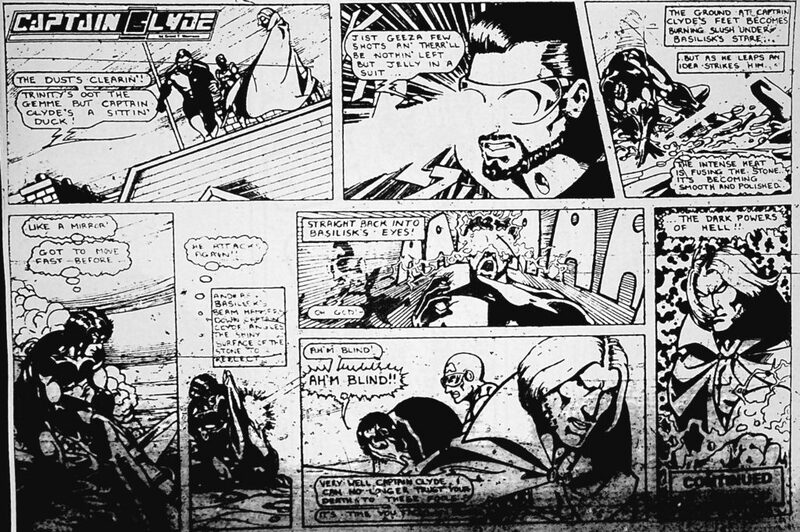 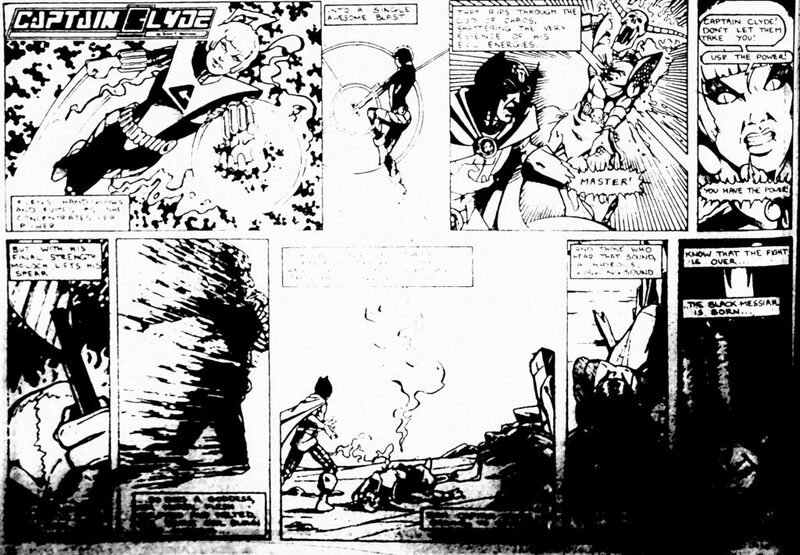 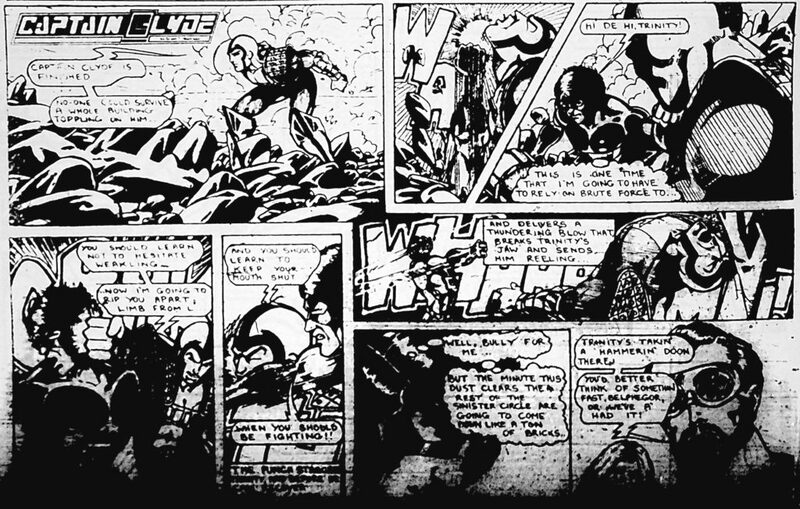 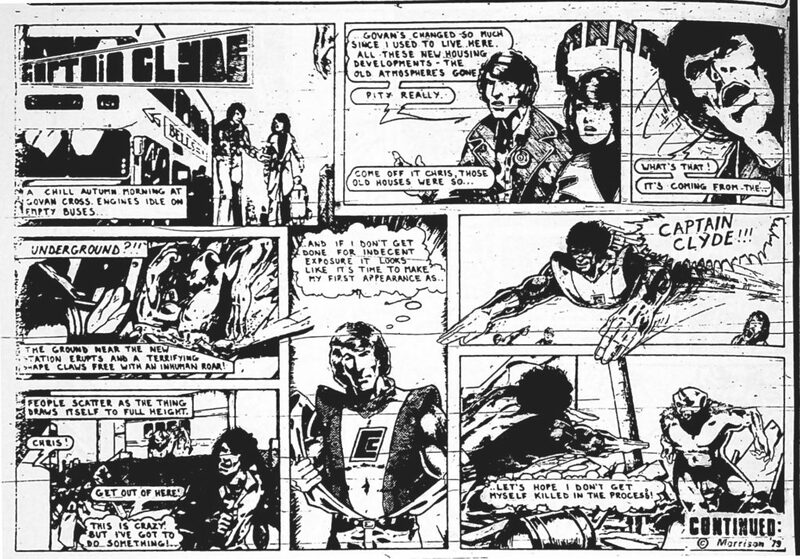 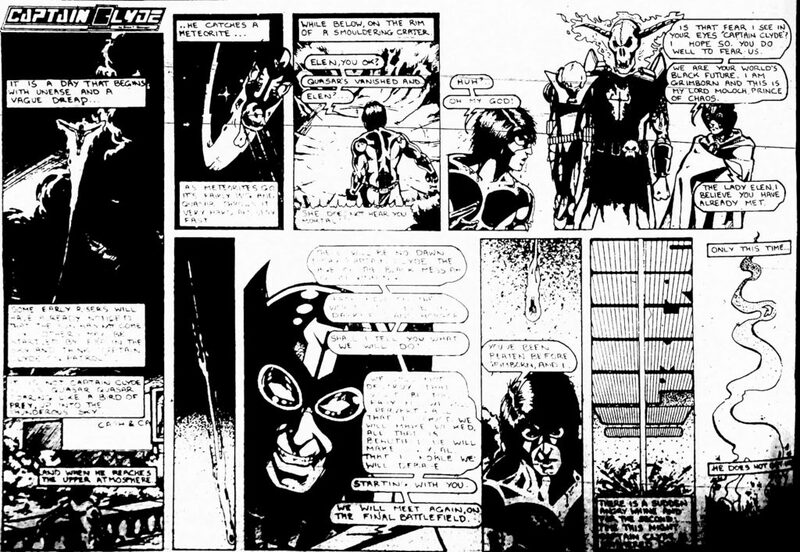 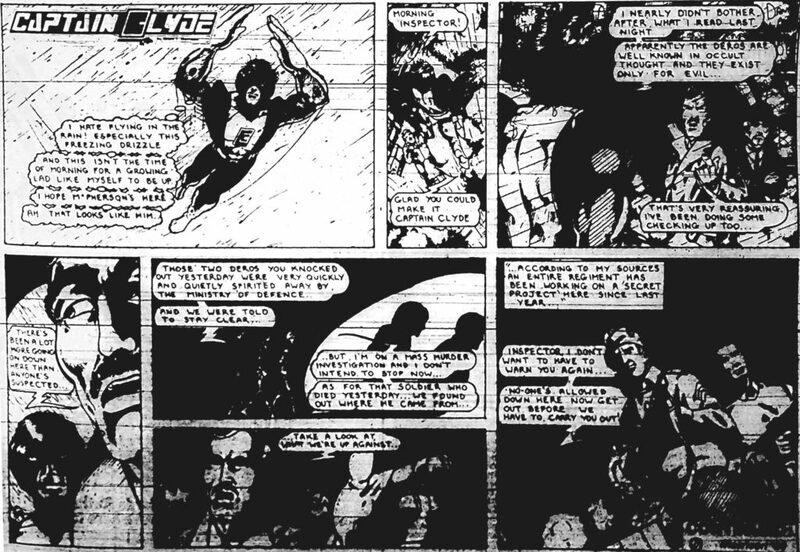 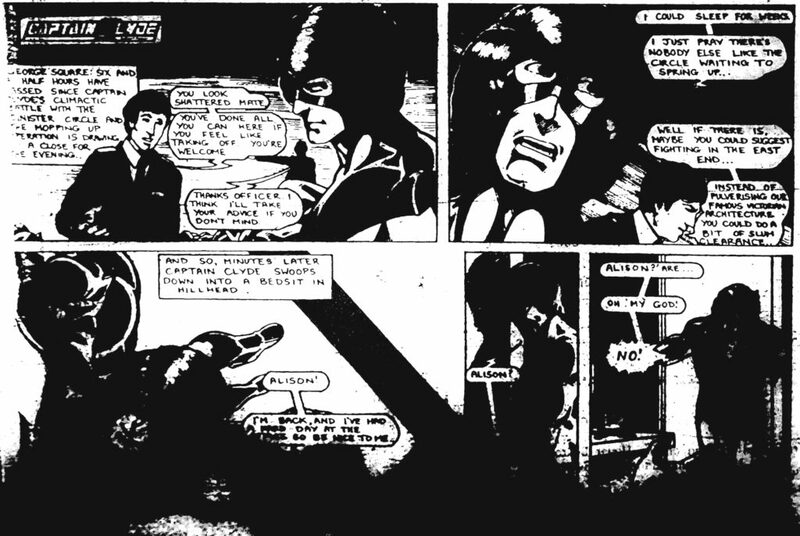 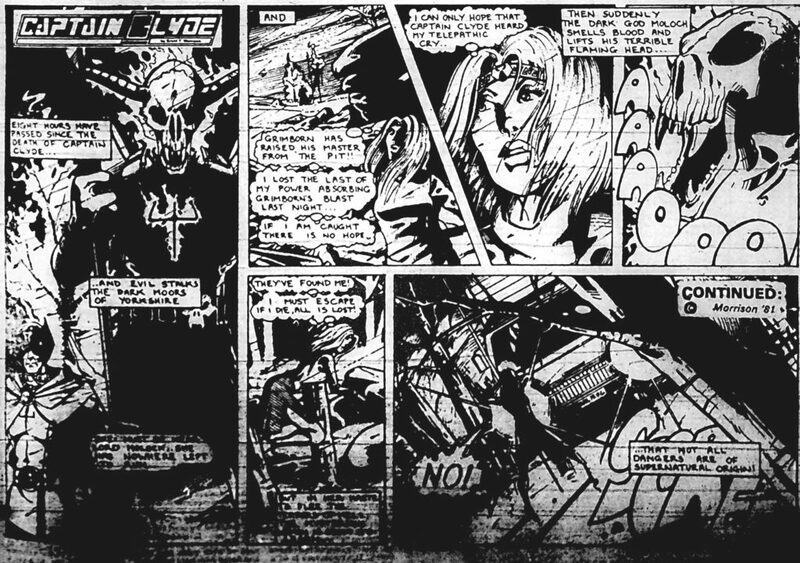 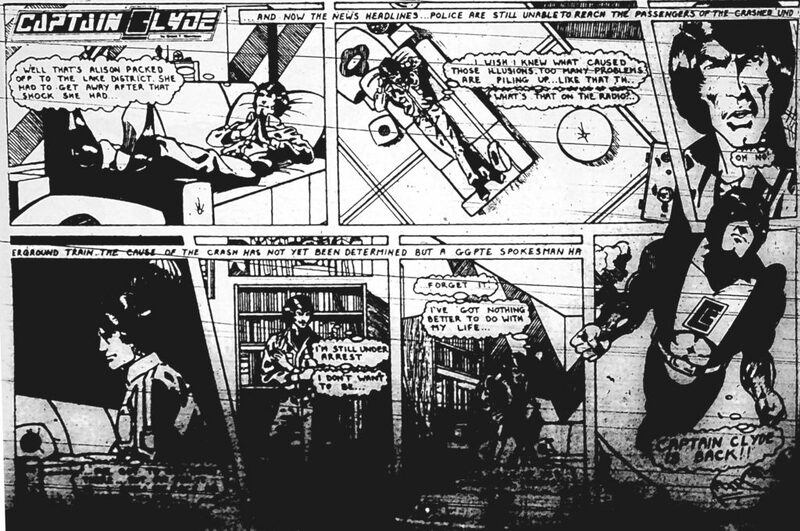 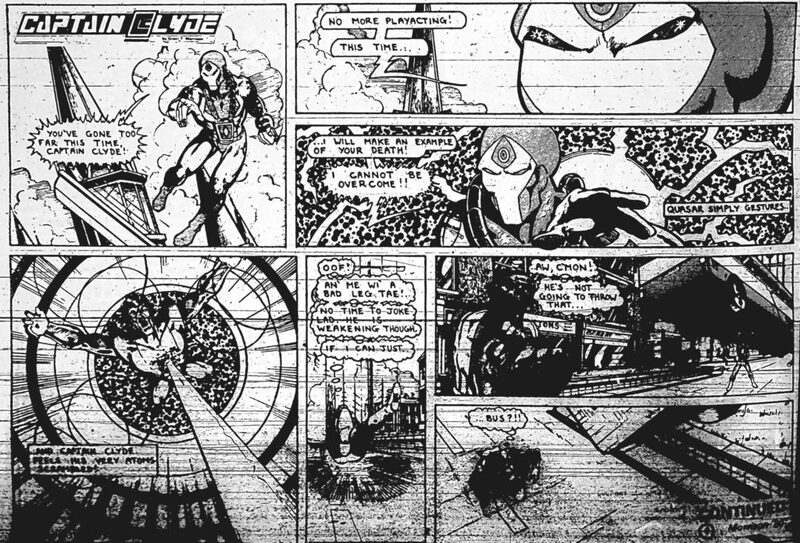 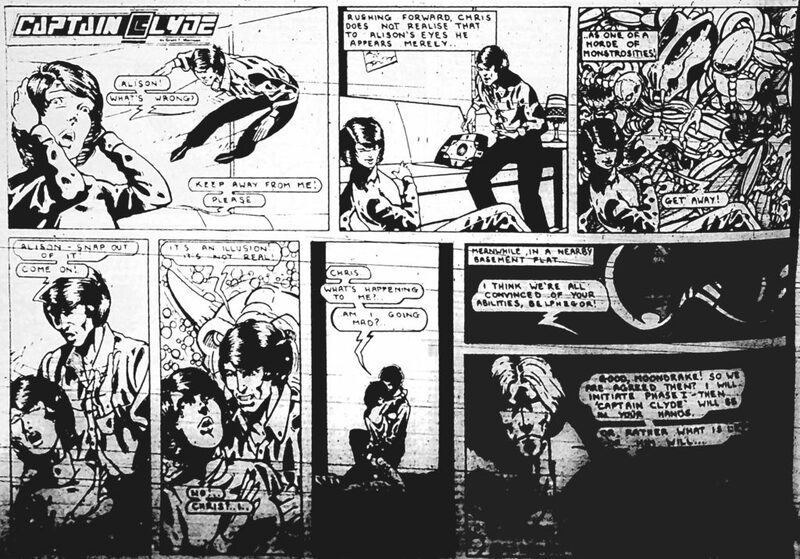 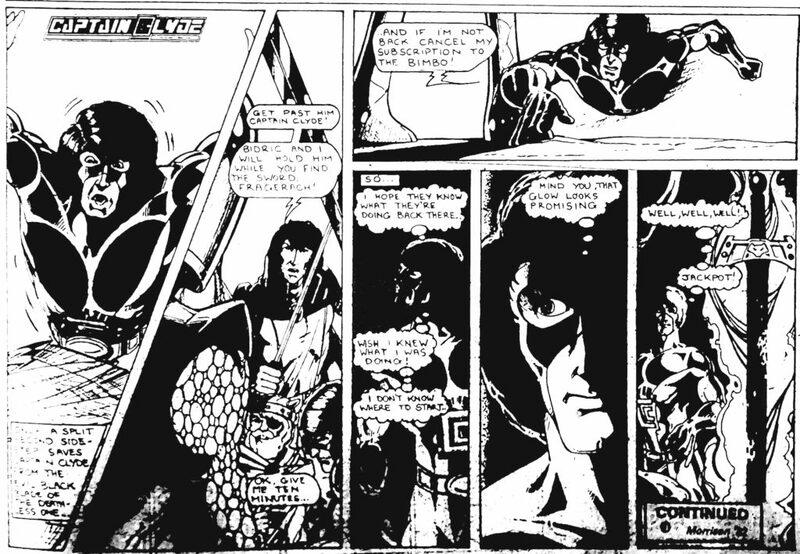 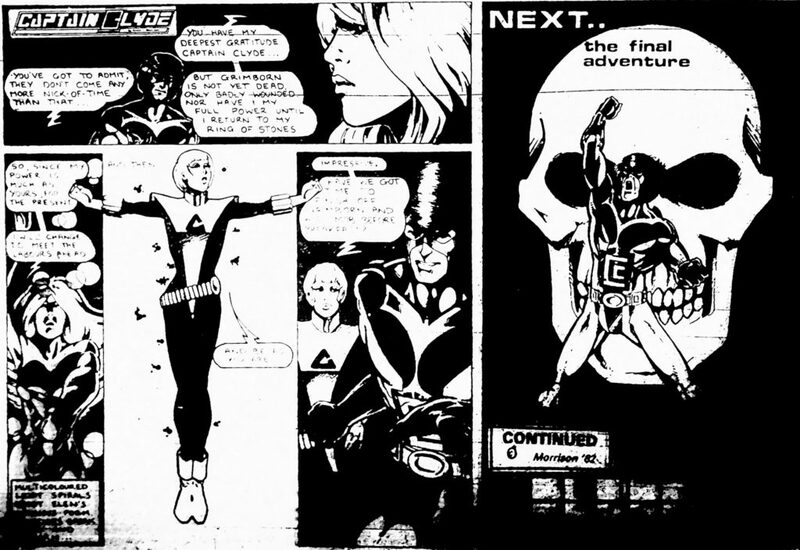 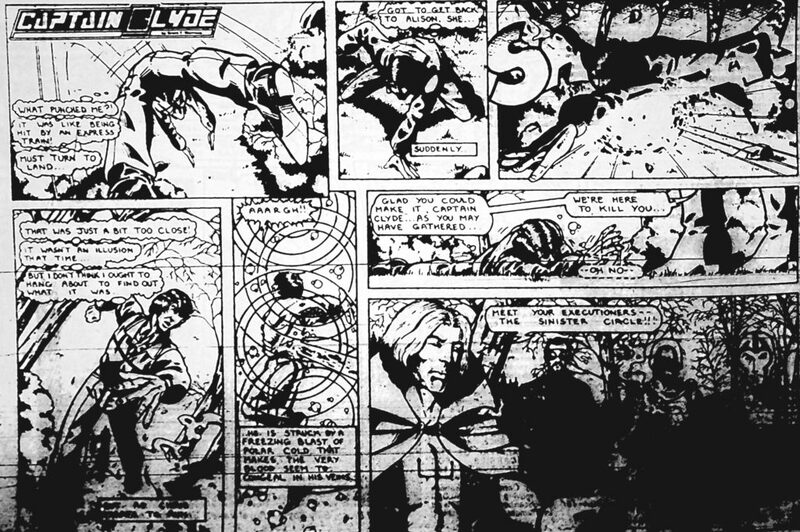 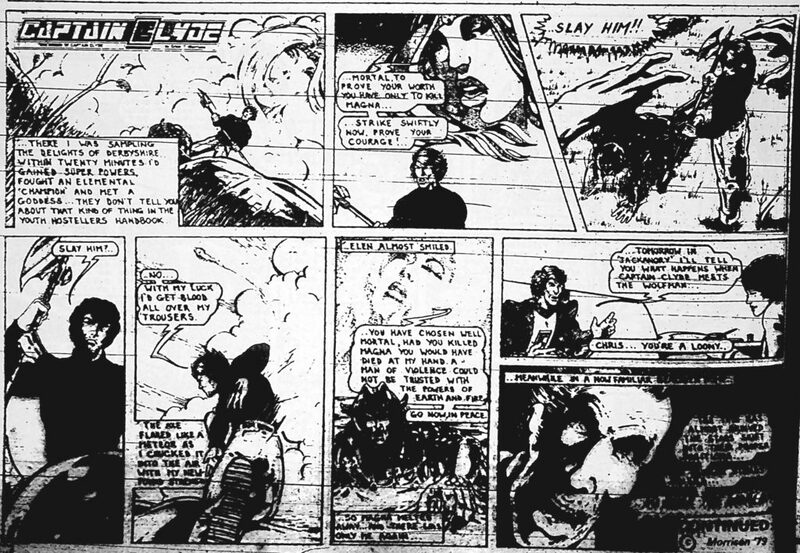 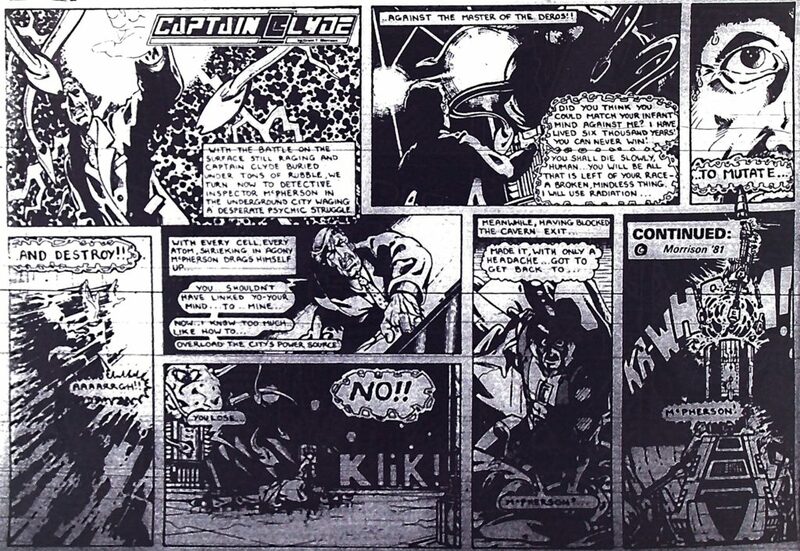 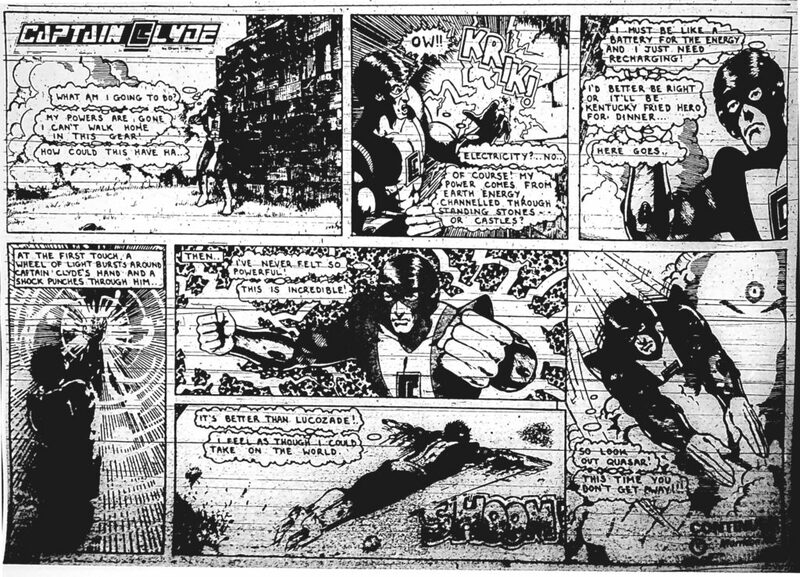 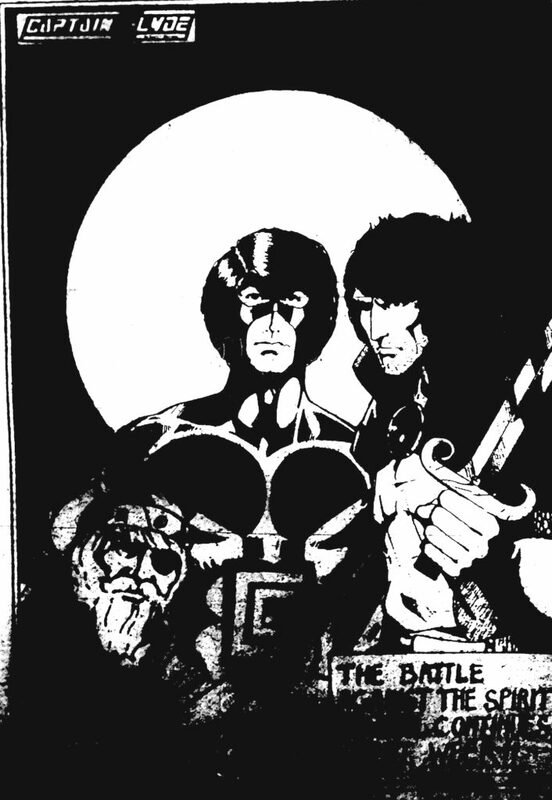 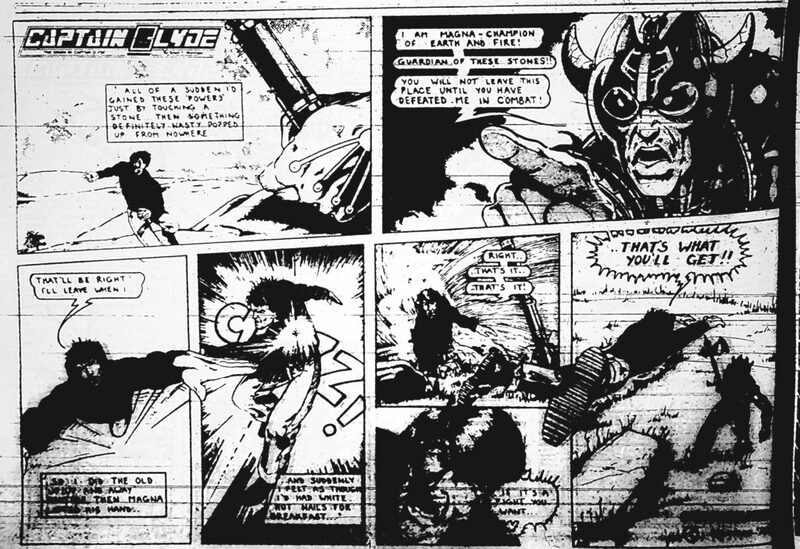 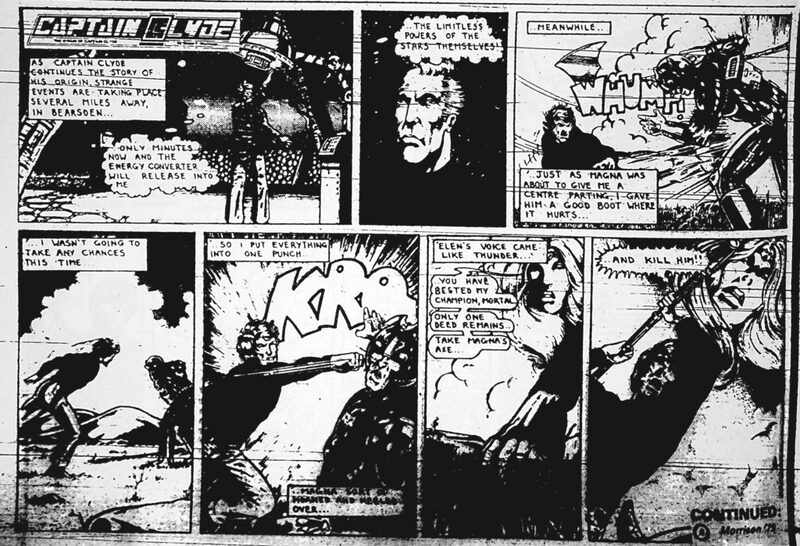 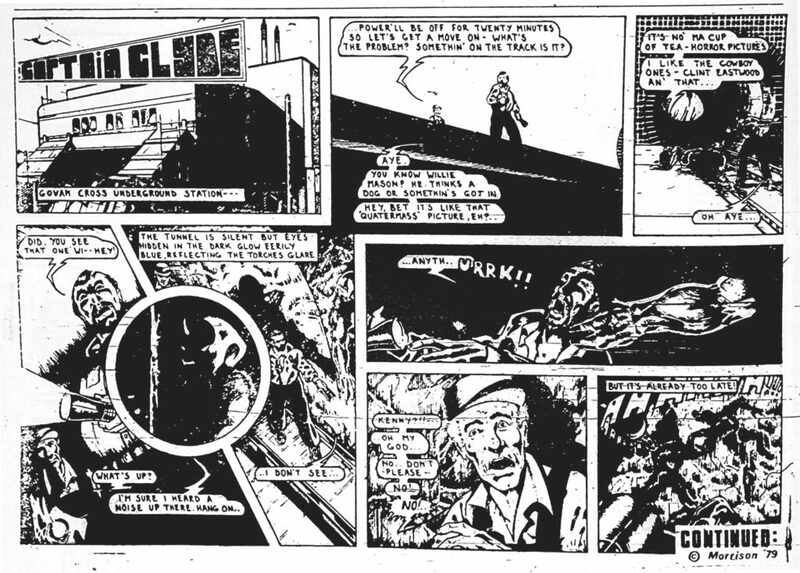 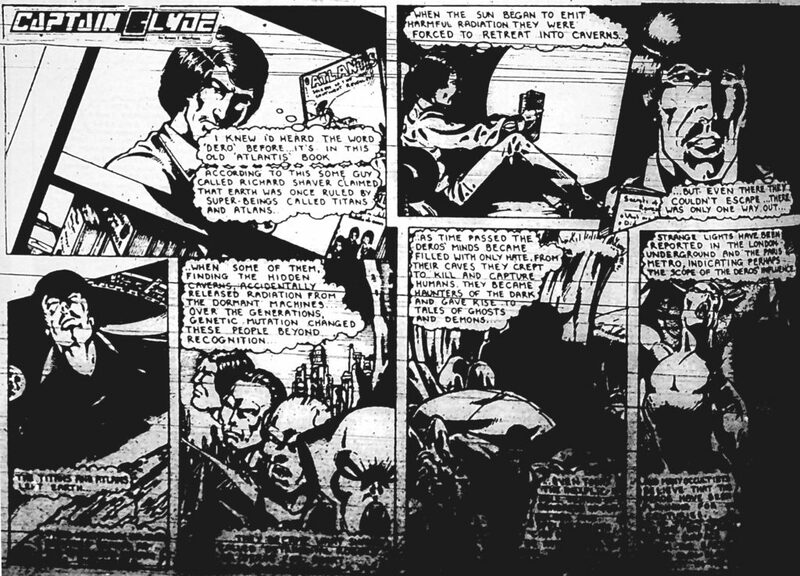 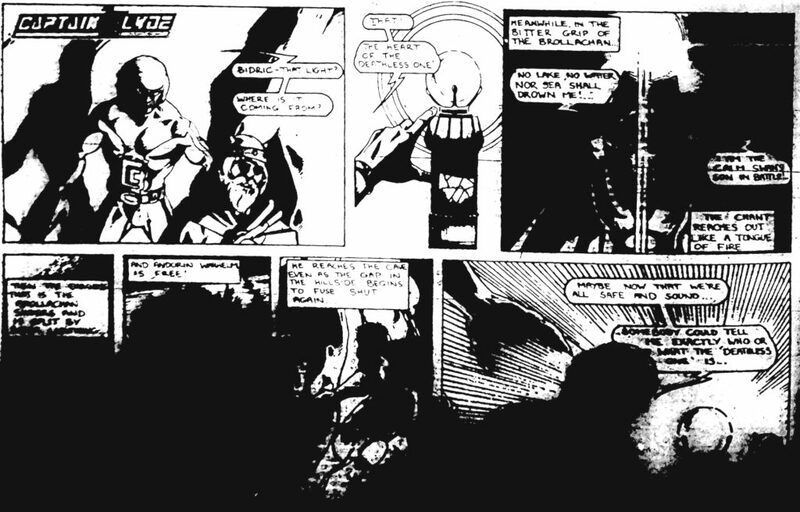 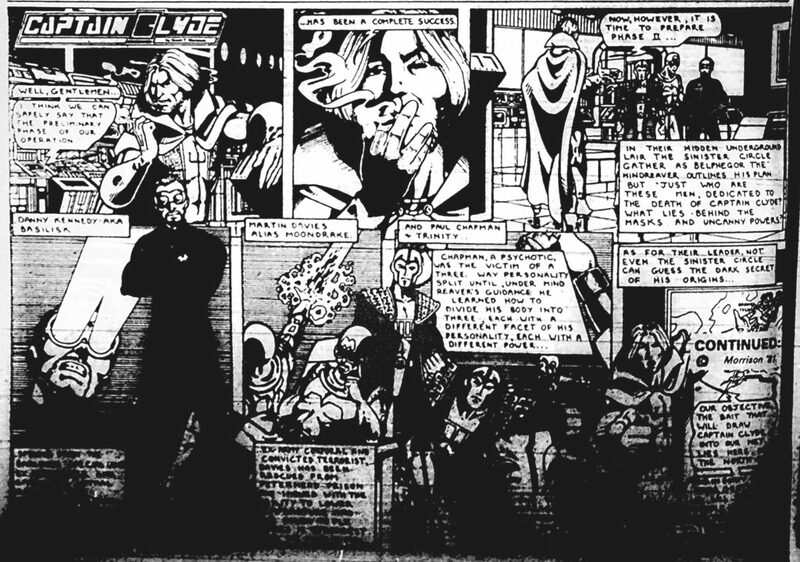 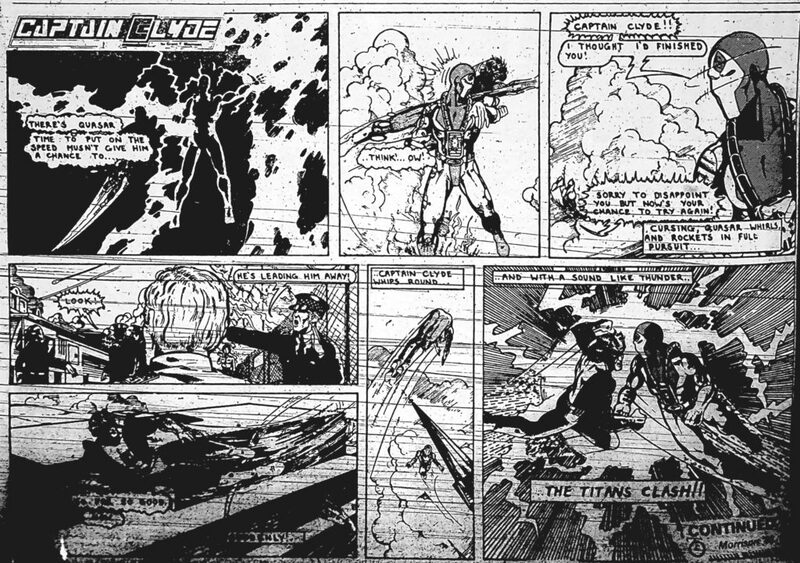 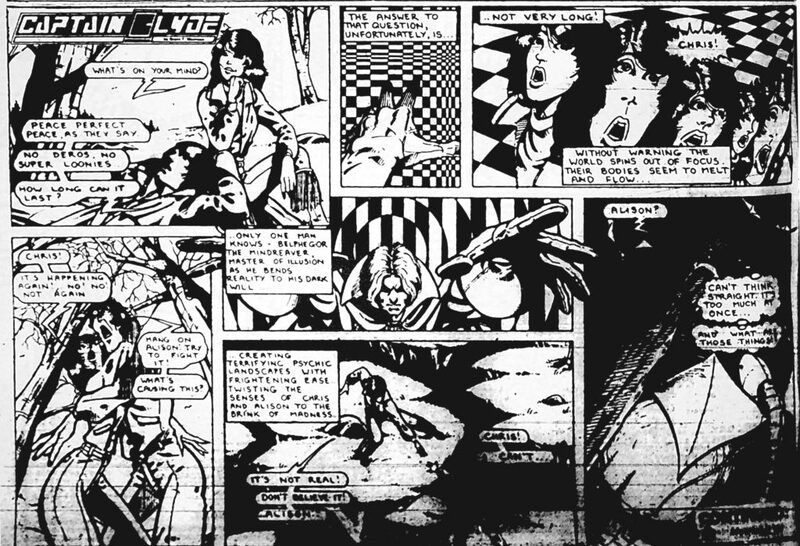 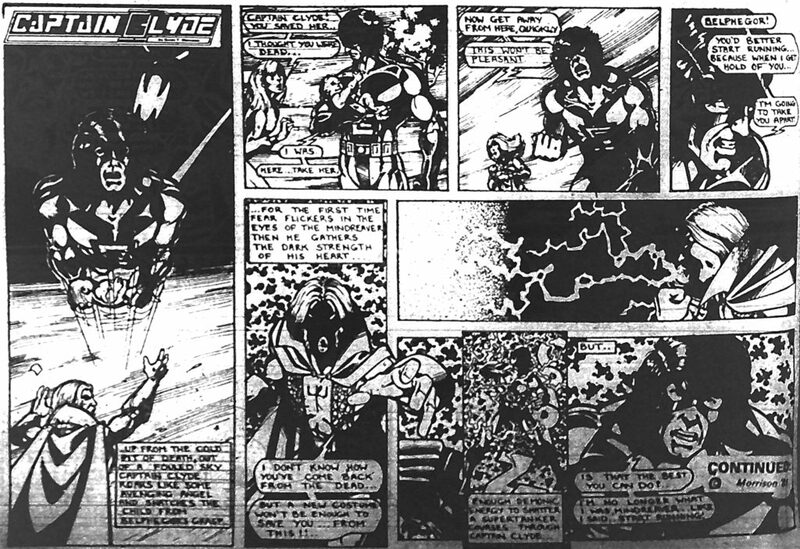 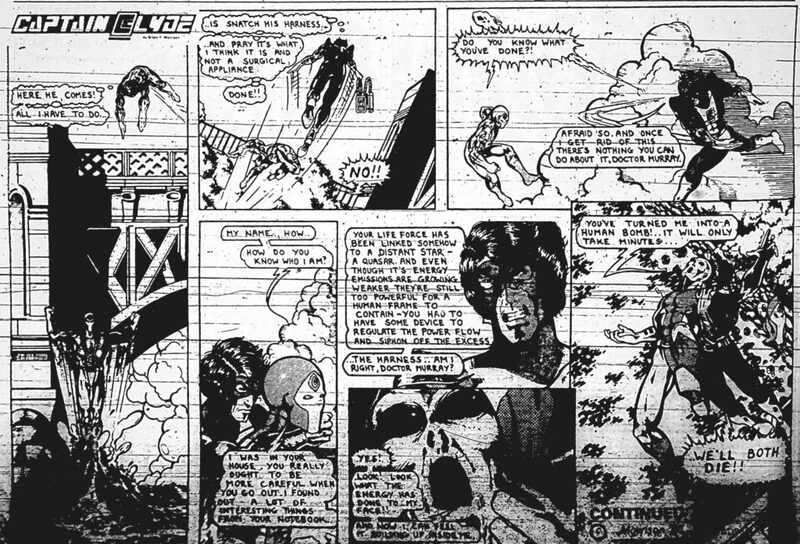 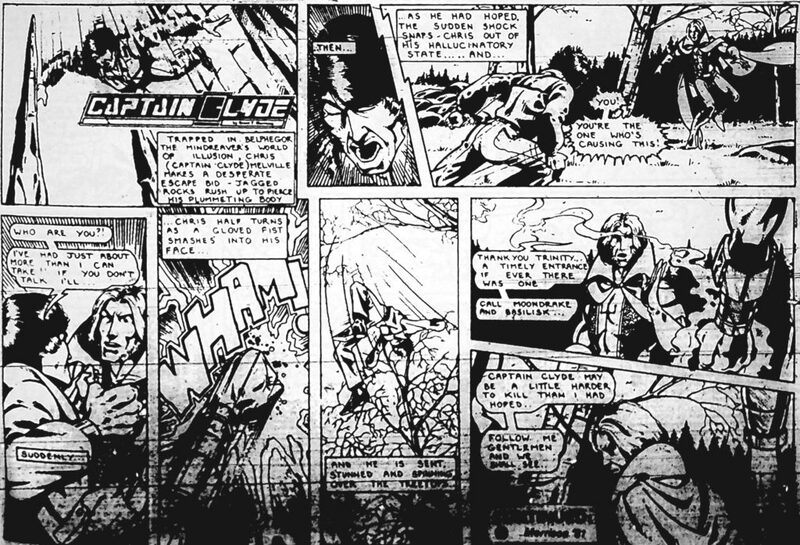 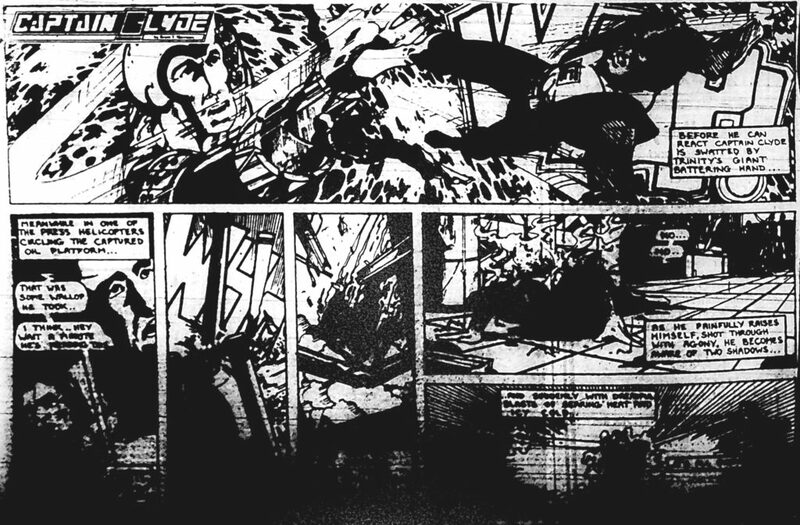 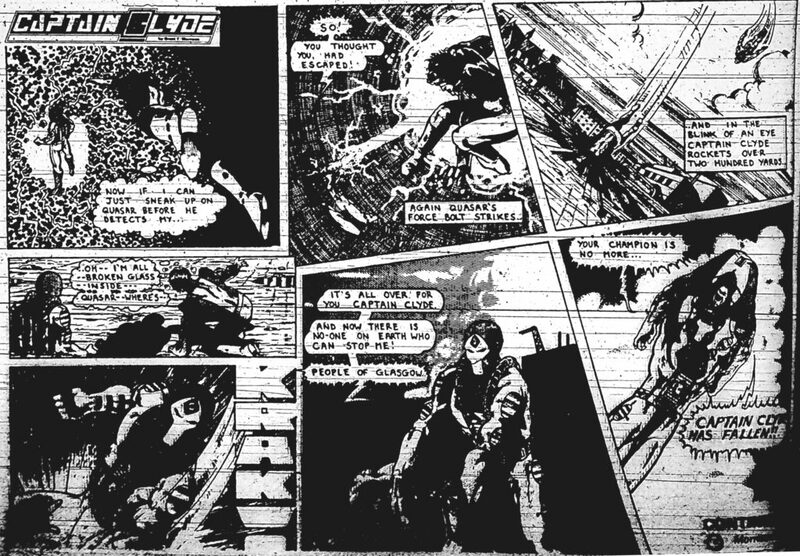 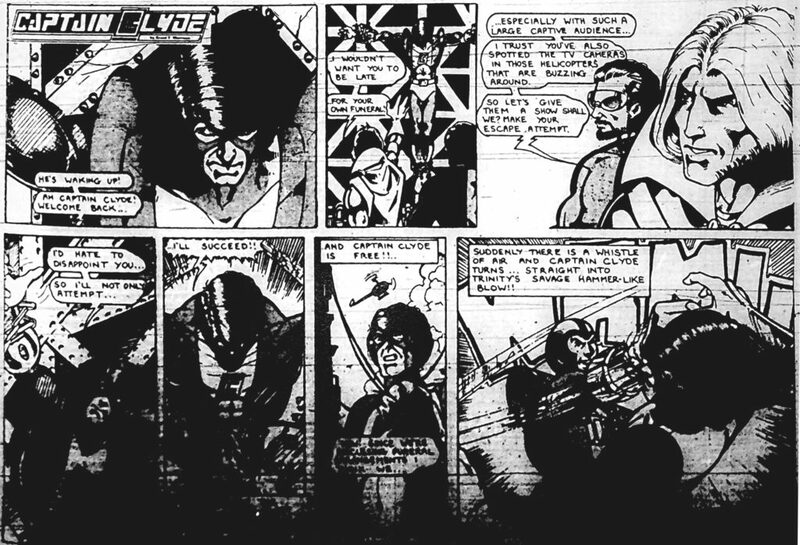 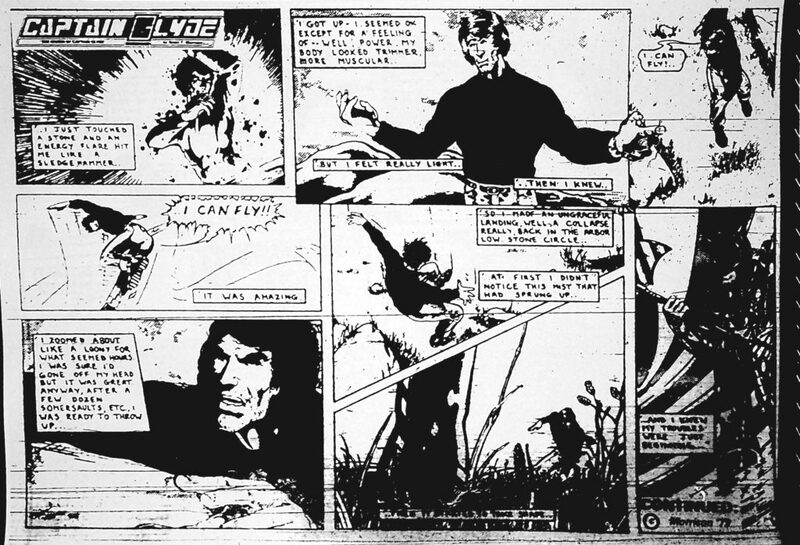 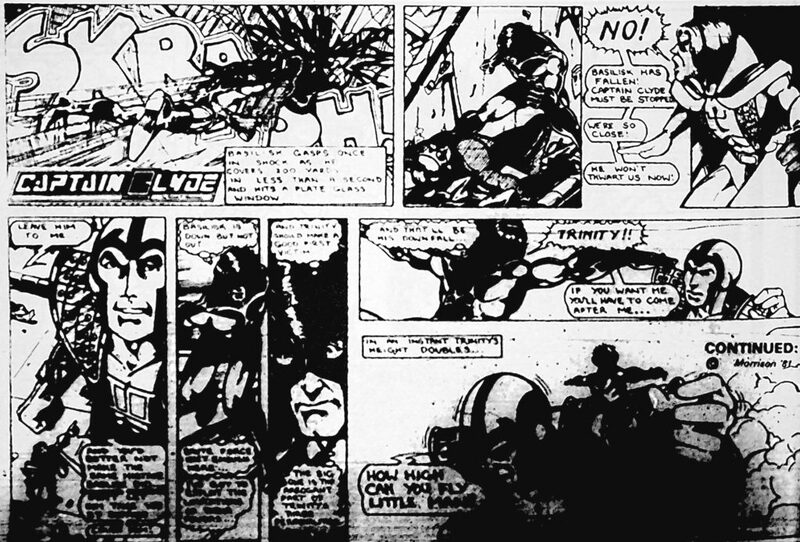 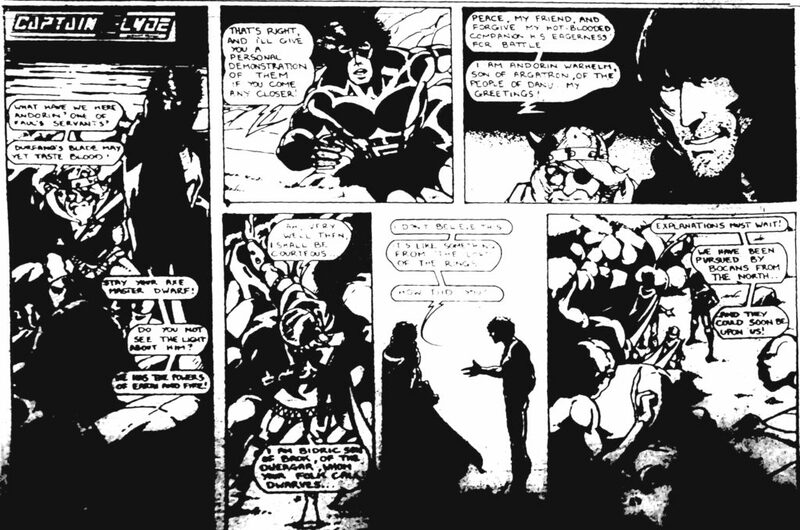 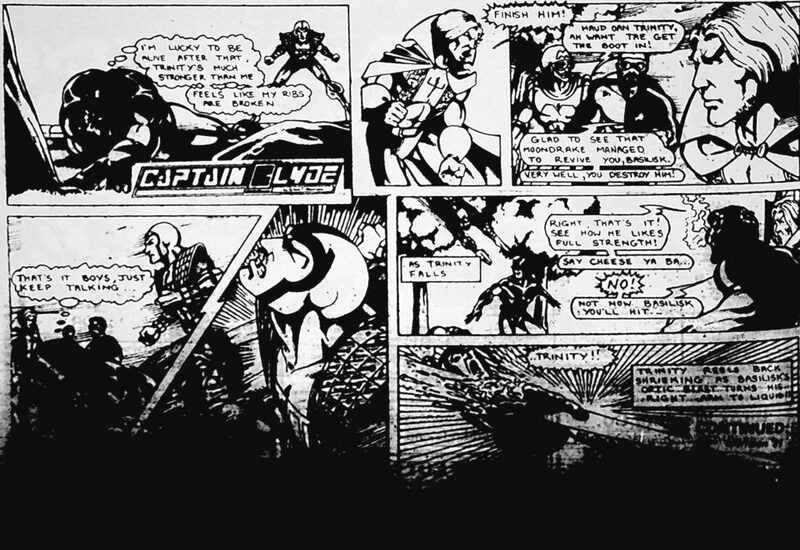 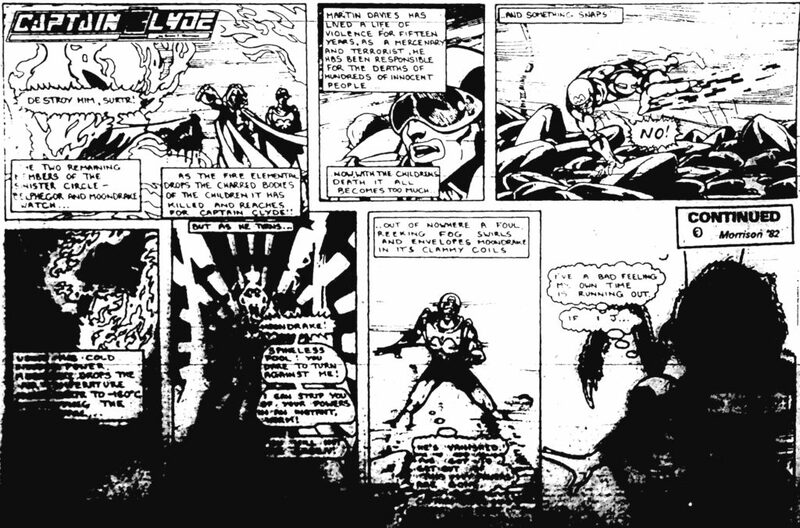 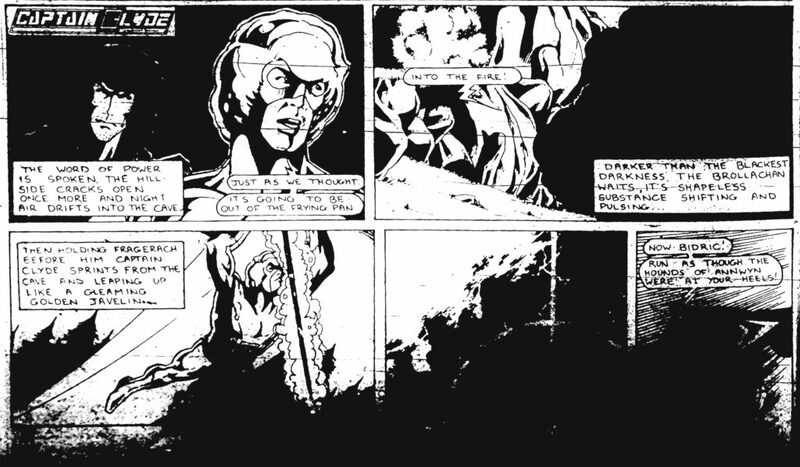 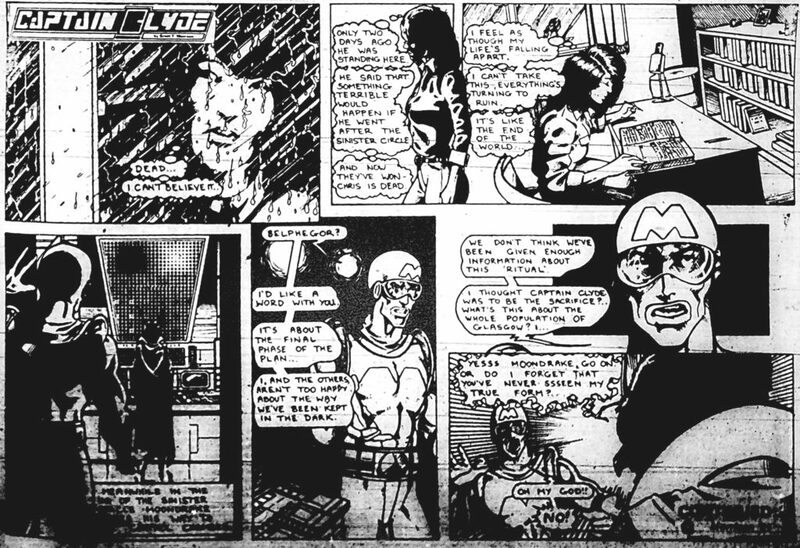 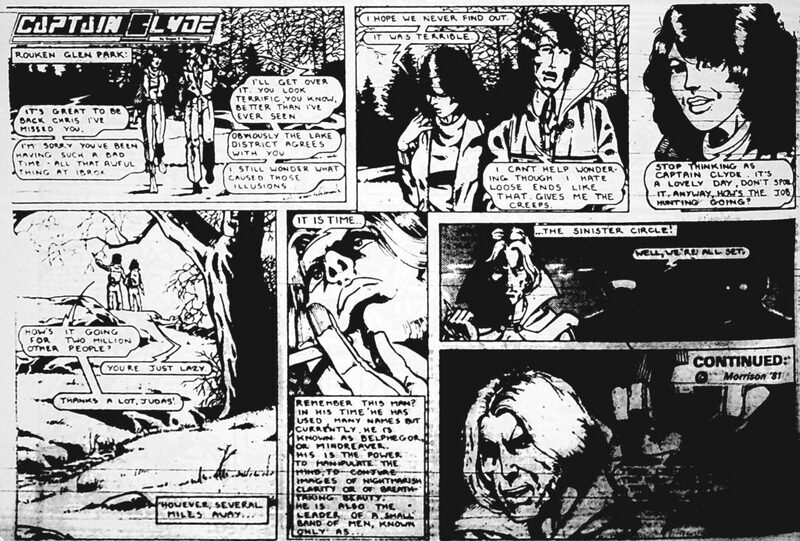 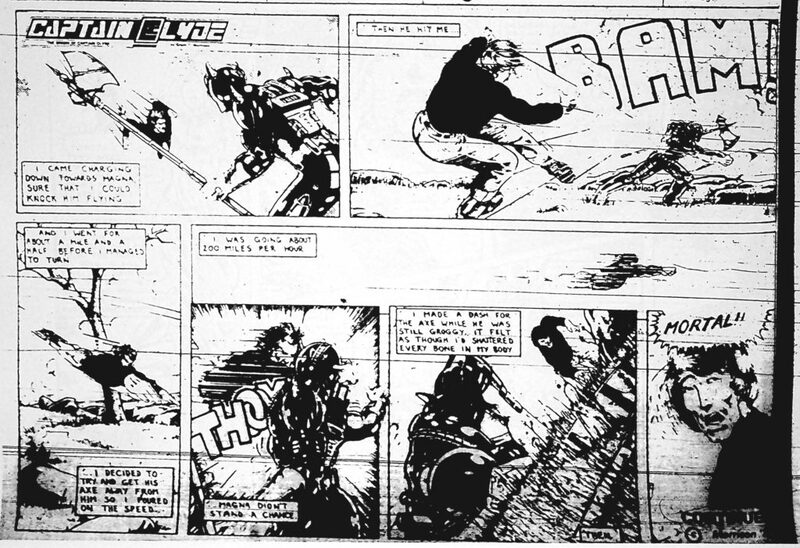 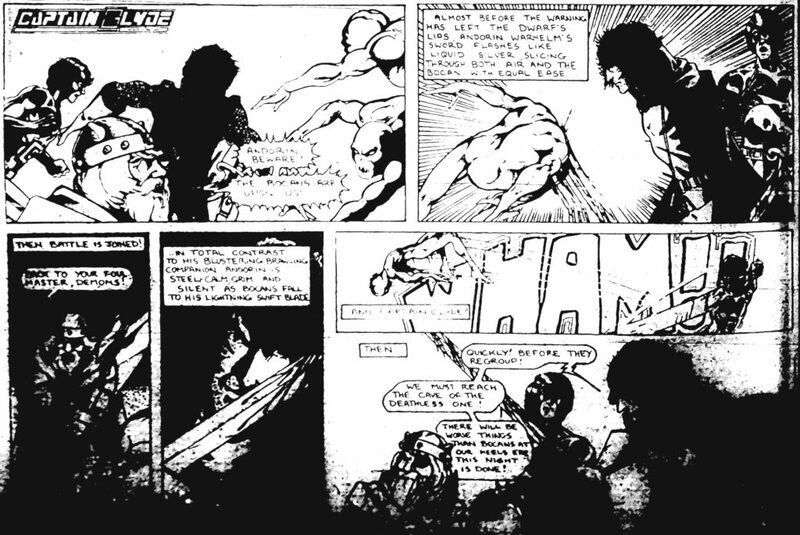 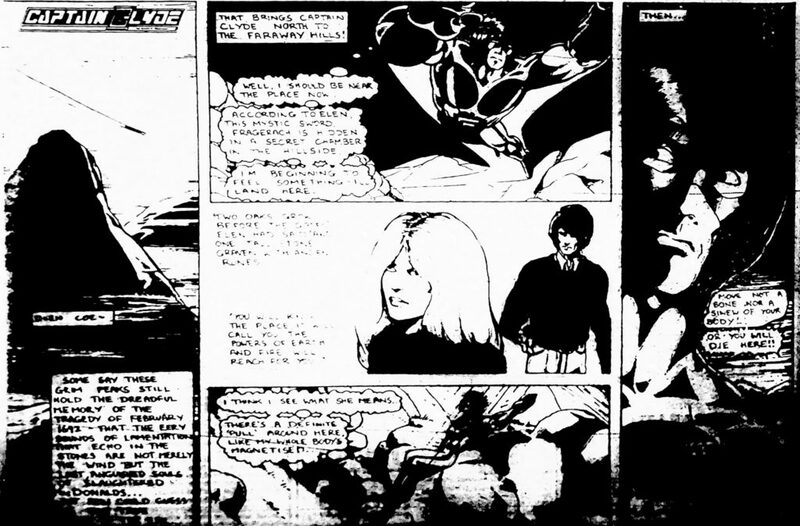 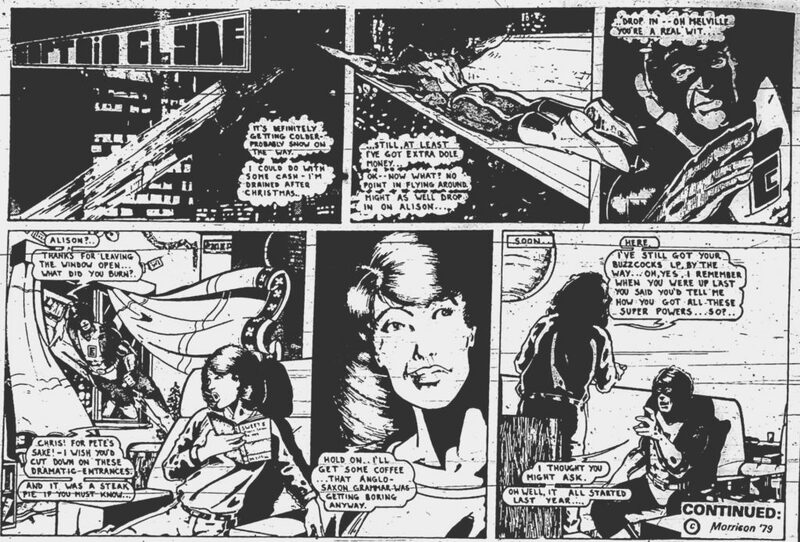 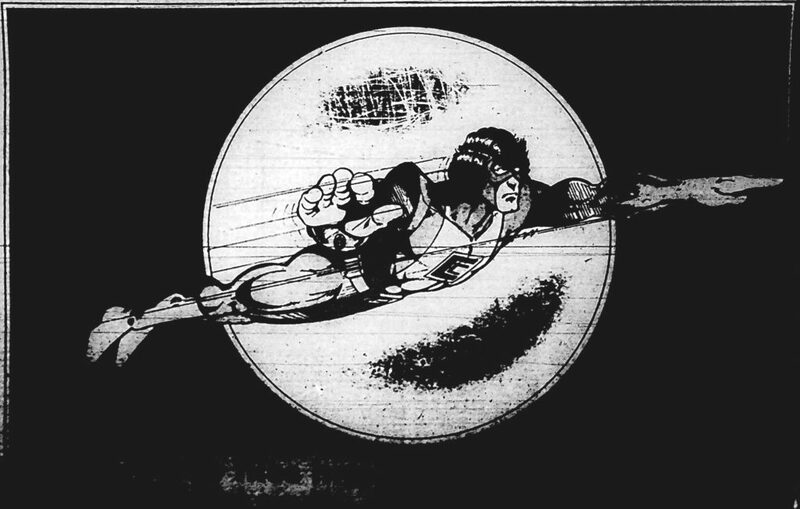 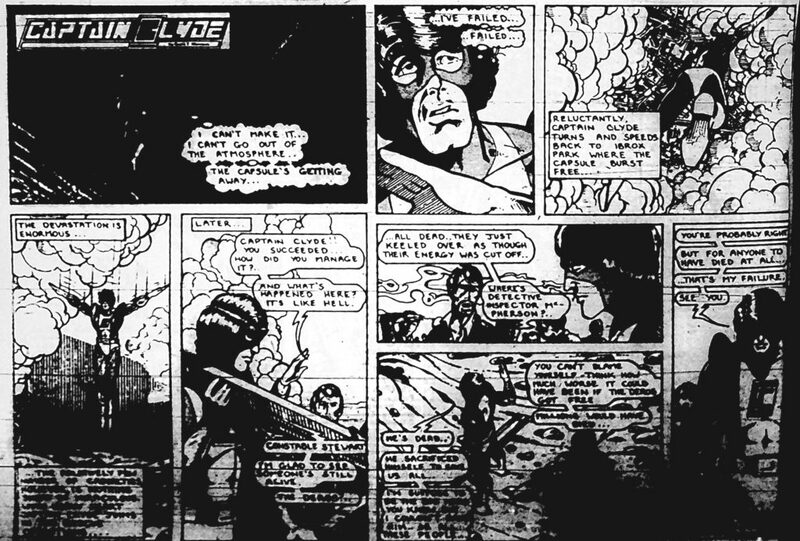 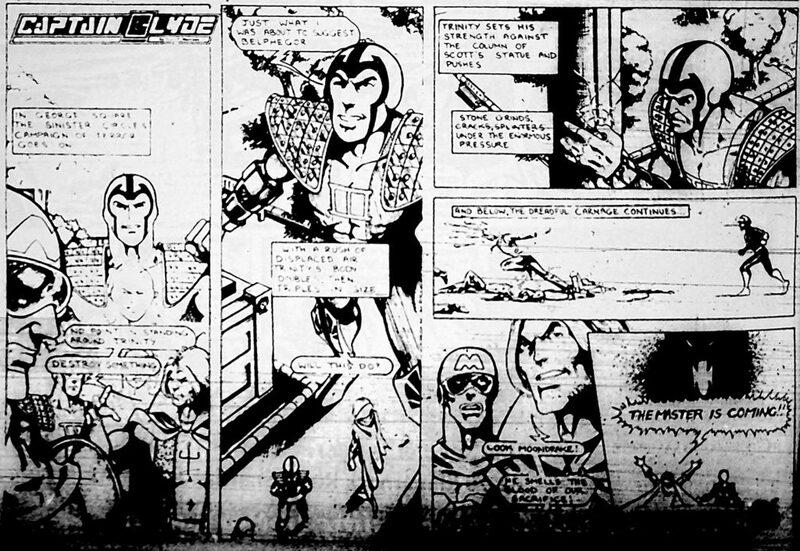 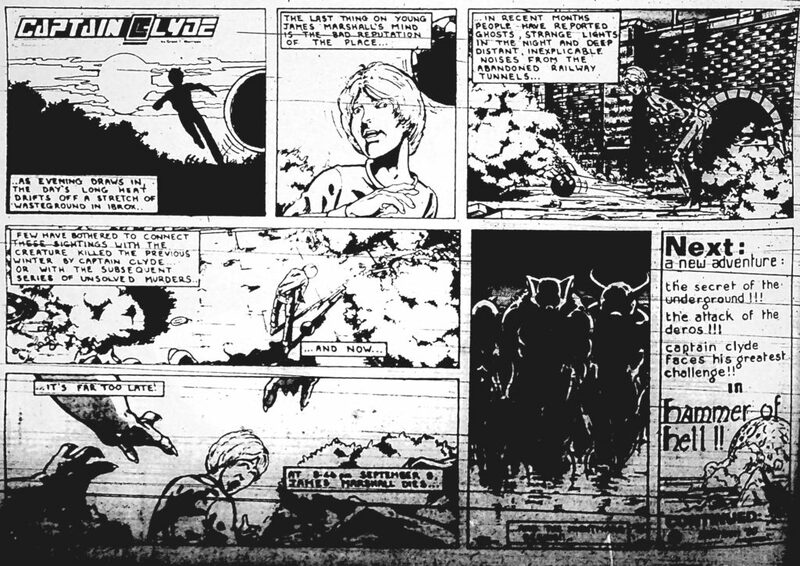 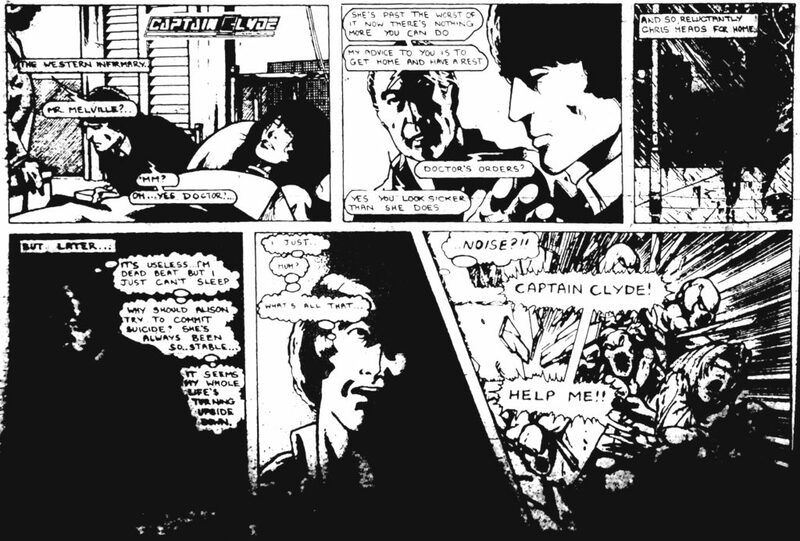 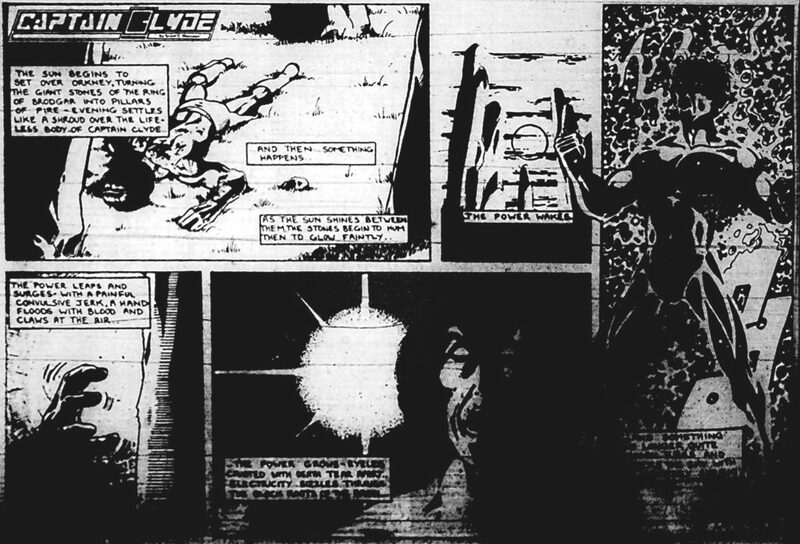 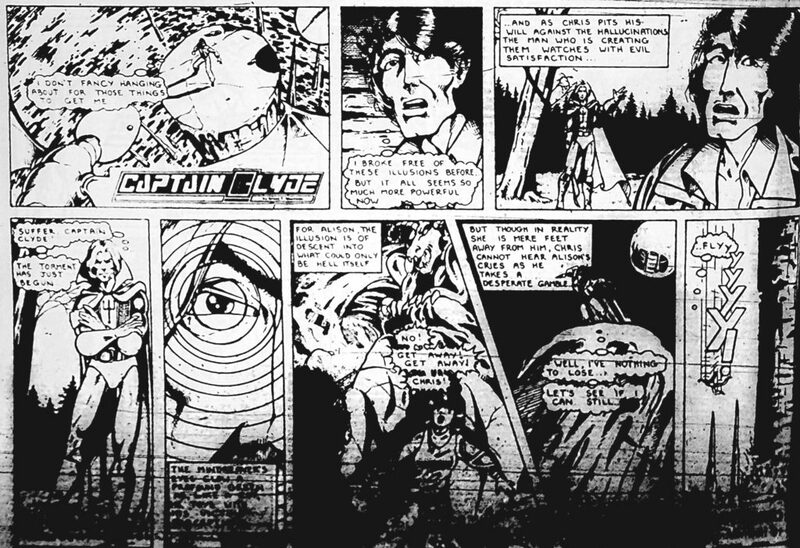 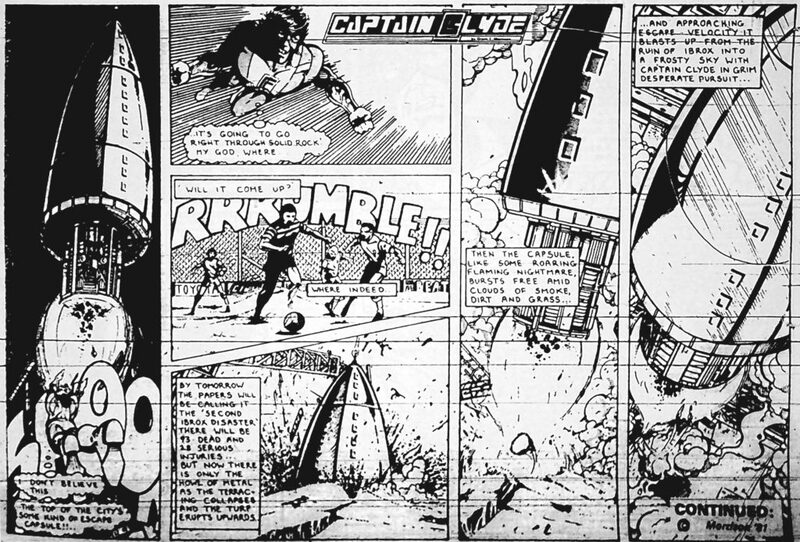 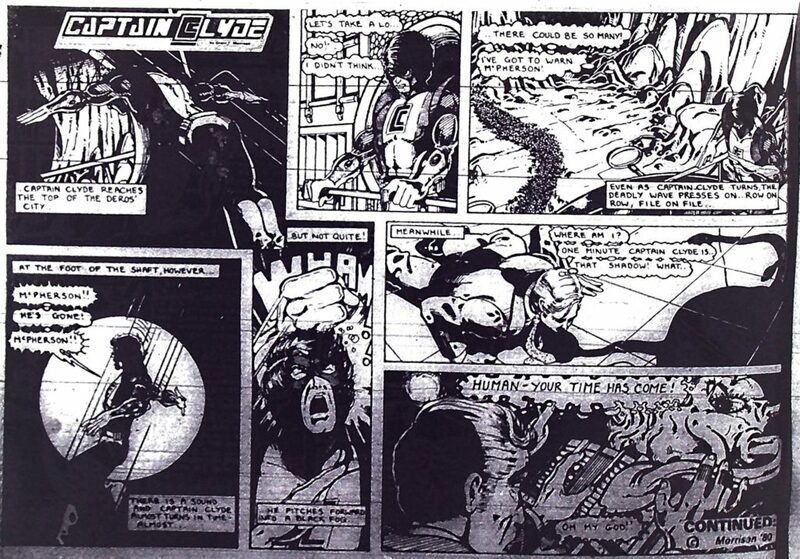 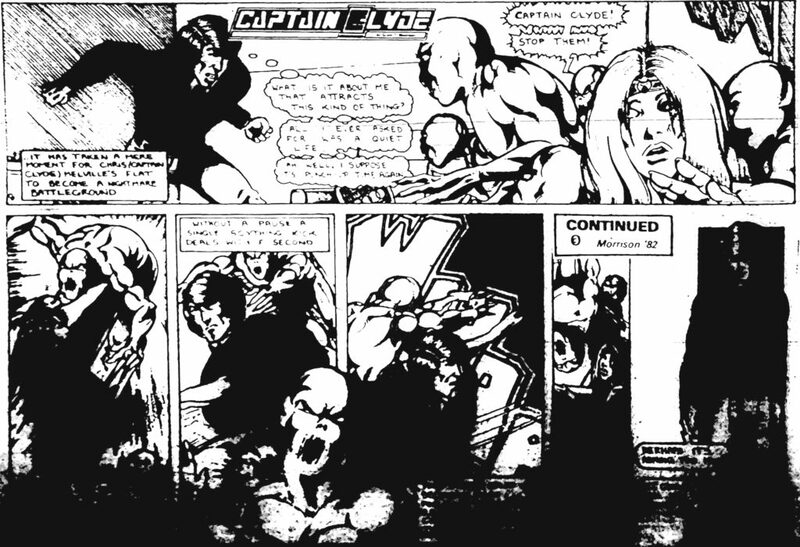 Grant Morrison’s Captain Clyde was his first published superhero work, it appeared in the Govan Press (and supposedly the Clydebank & Renfrewshire Presses but I’ve not been able to confirm that) over the course of 1979-1982. 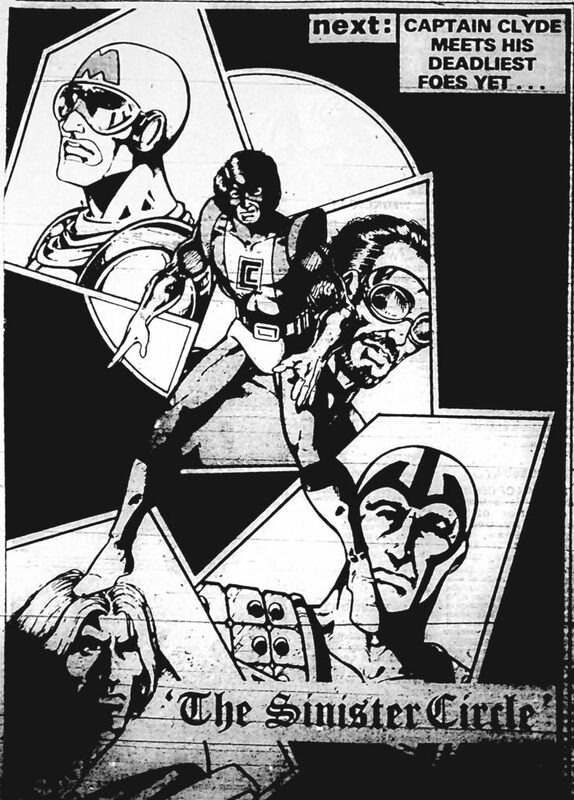 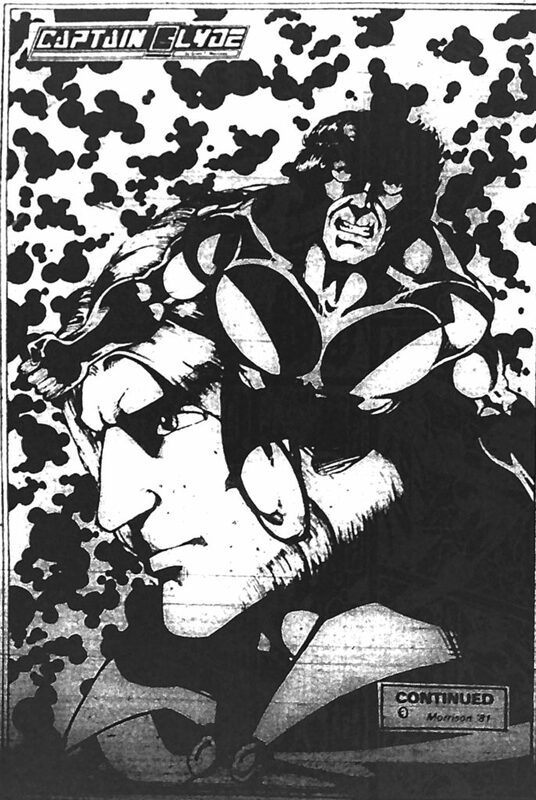 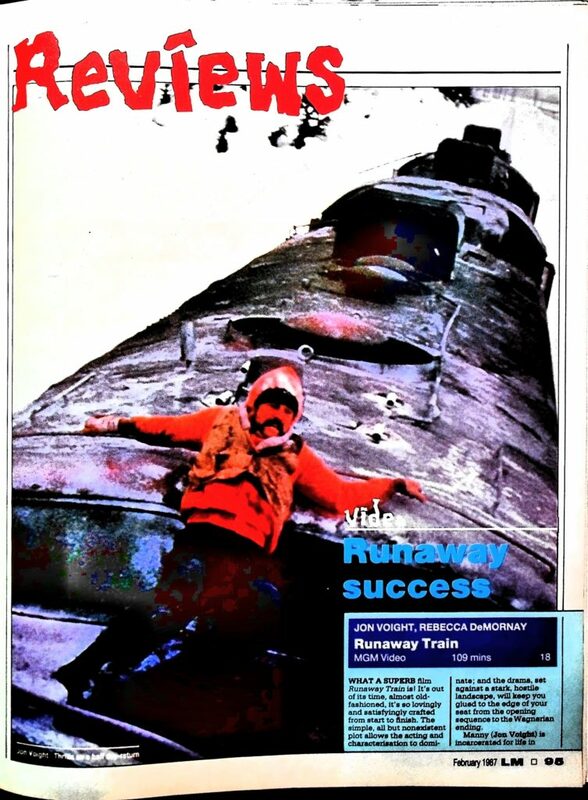 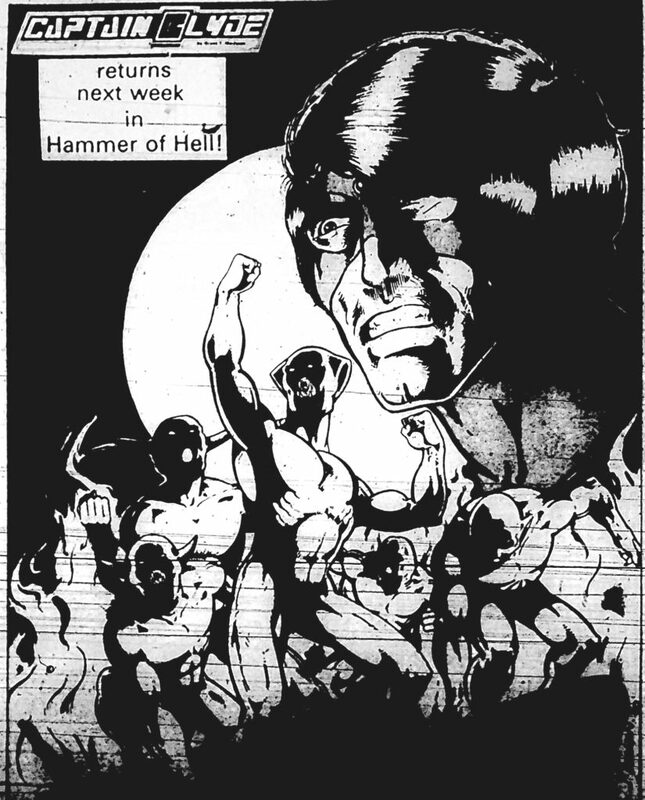 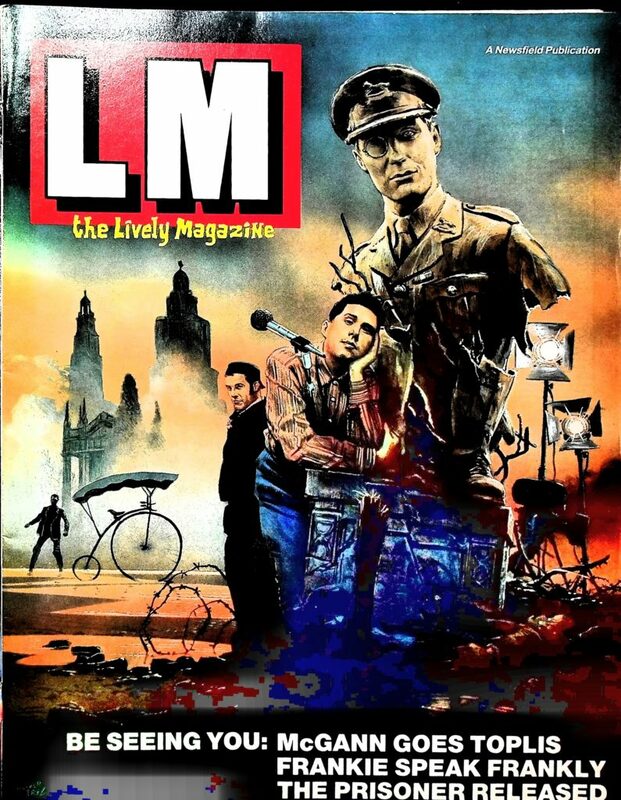 Not sure quite how it was pitched, it was a real oddity on the TV page and I doubt most people paid it any attention. 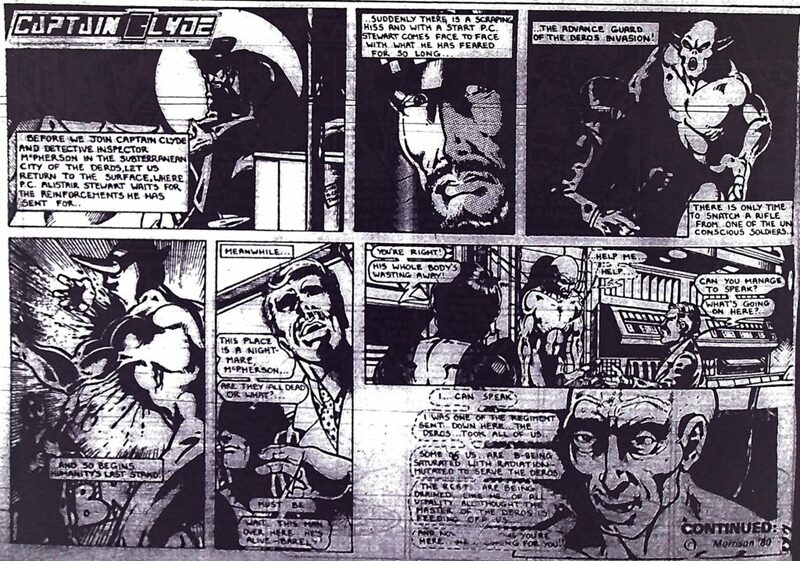 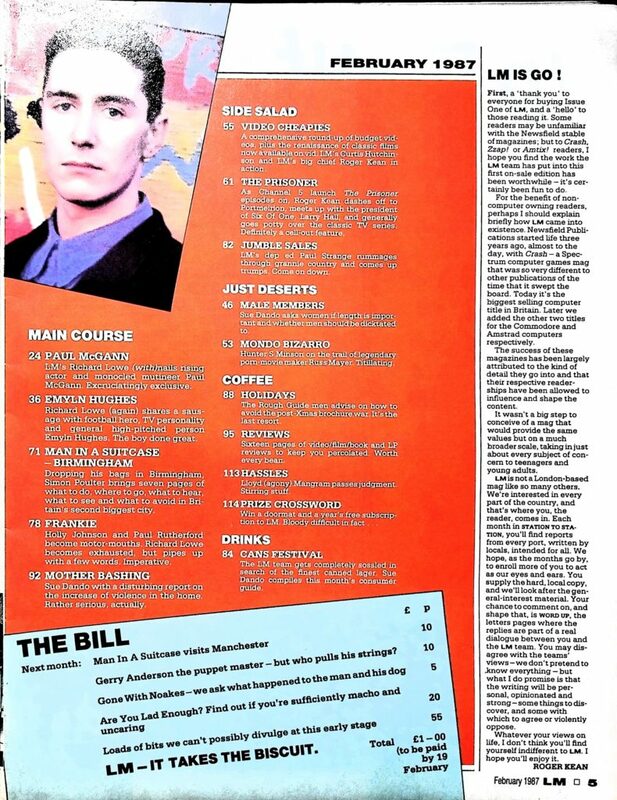 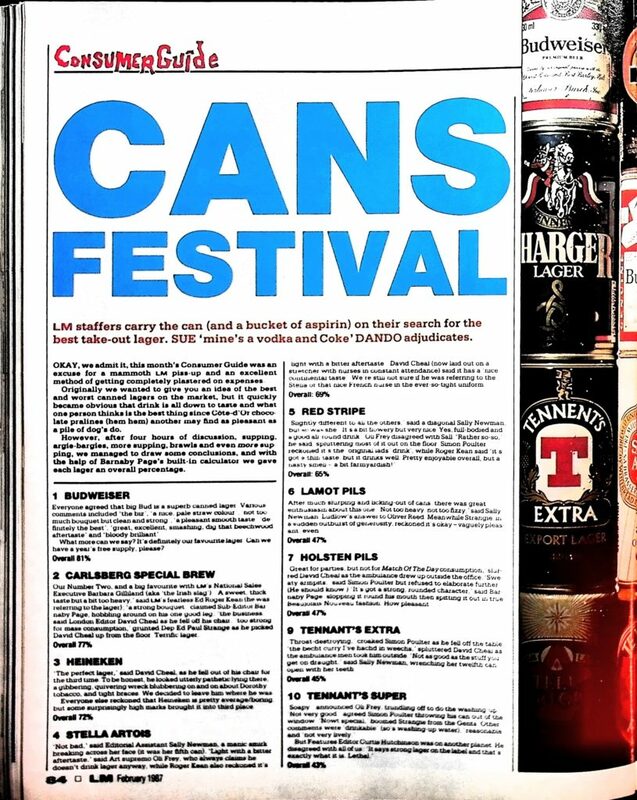 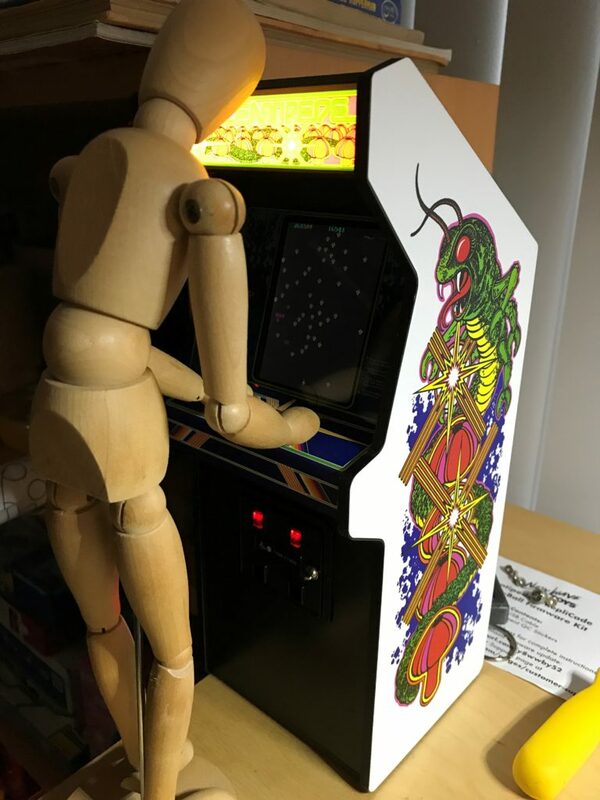 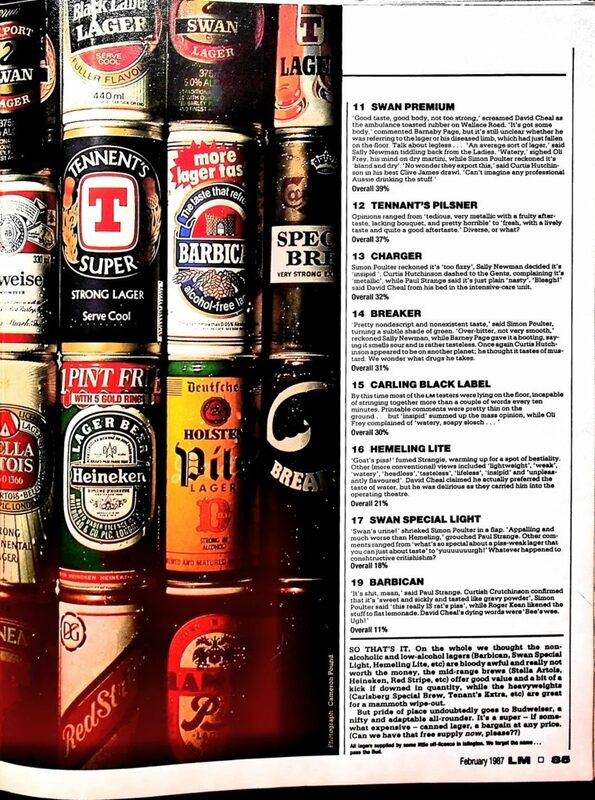 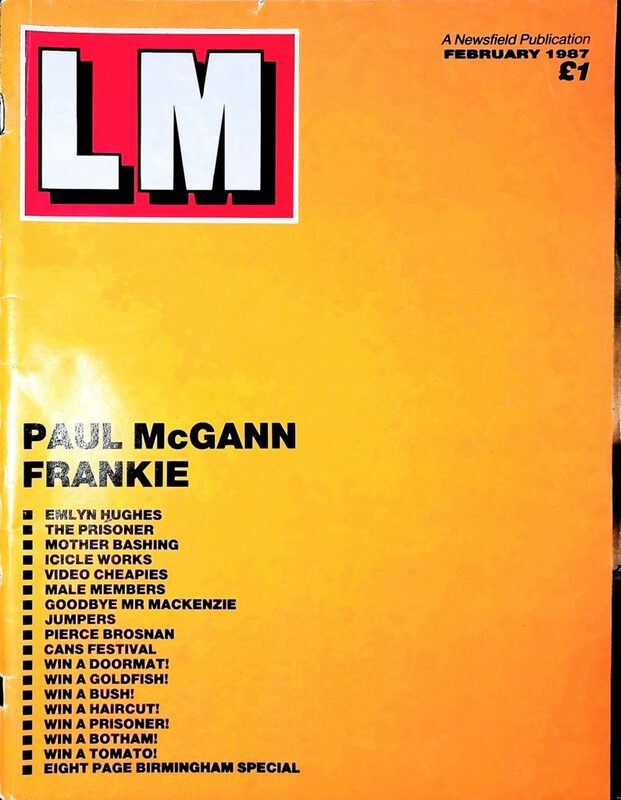 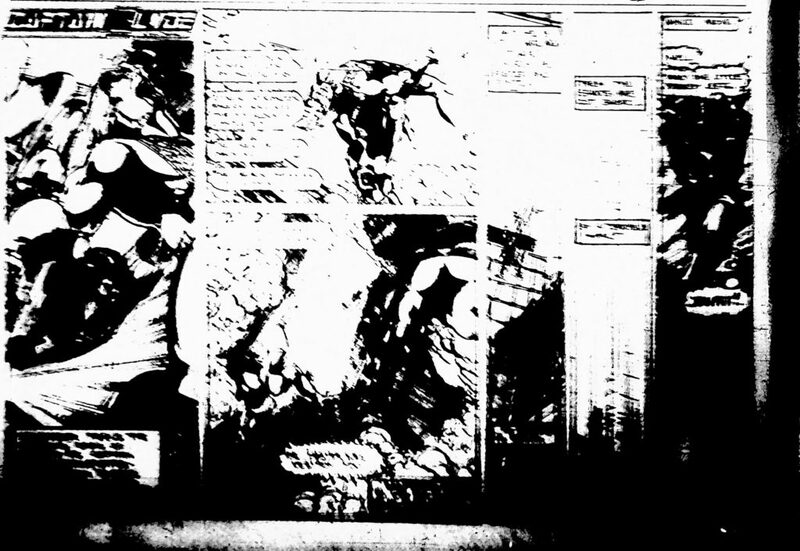 I understand that the person who somehow put together these scans did it over the course of a few years of visits to the Mitchell Library and took them from Microfiche copies of the Govan Press. 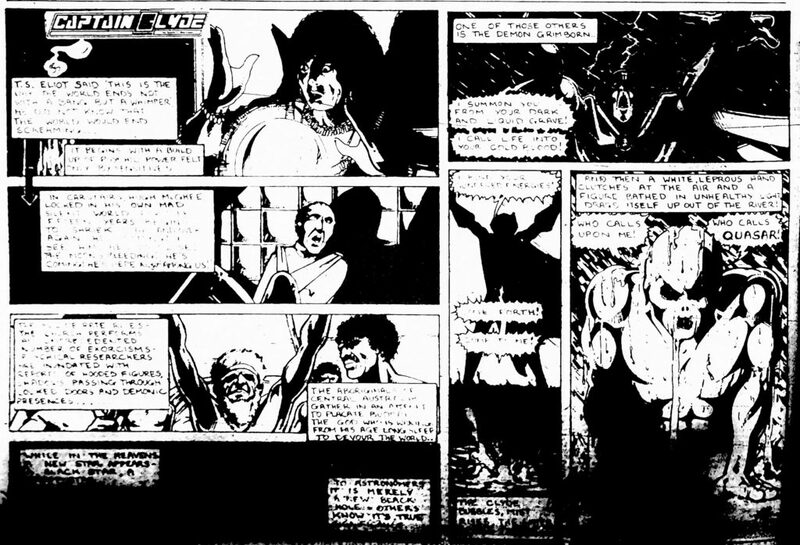 The quality is lacking at the base of the pages, maybe due to rot, maybe due to poor storage, but the entire saga should be readable with the exception of one page which was scanned badly and without an alternative source. 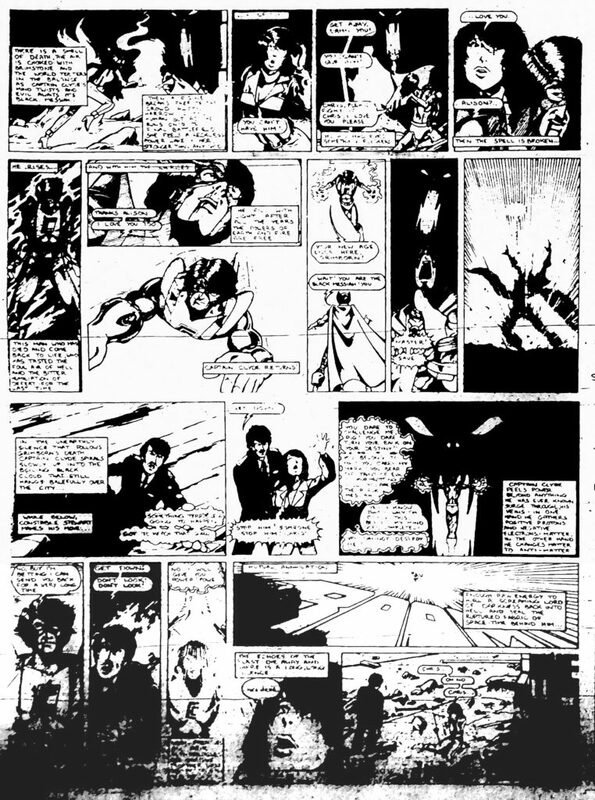 There are some themes here that would reappear in later works (they’re good ideas, why not re-use something that no-one read? 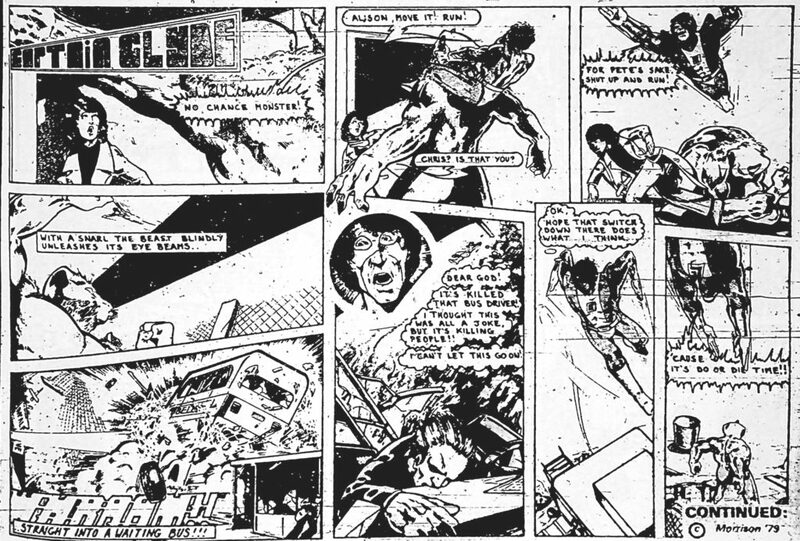 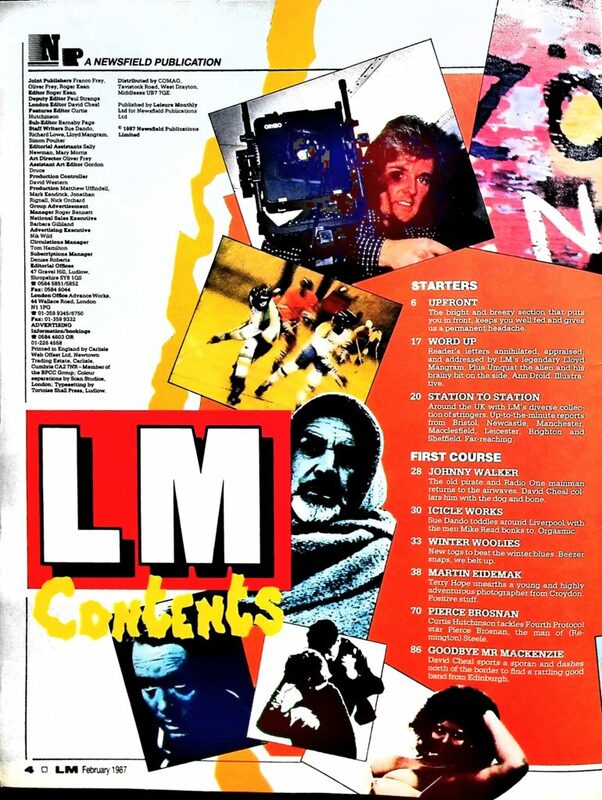 ), and some things that I guess no-one at the Press noticed such as dead children and “the second Ibrox Park disaster”, it eventually wrapped up in November 1982 and was replaced by Tom & Jerry.